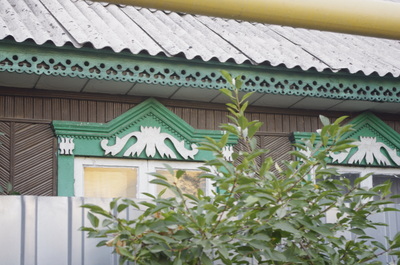 It may be true that Almaty doesn't have much carved wooden architecture to rival that of Russia, but anybody who takes the time to stroll around Almaty's quieter neighborhoods will come away impressed by the artistry of carved eaves. 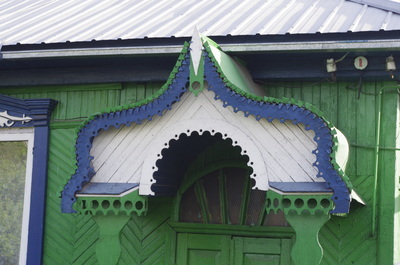 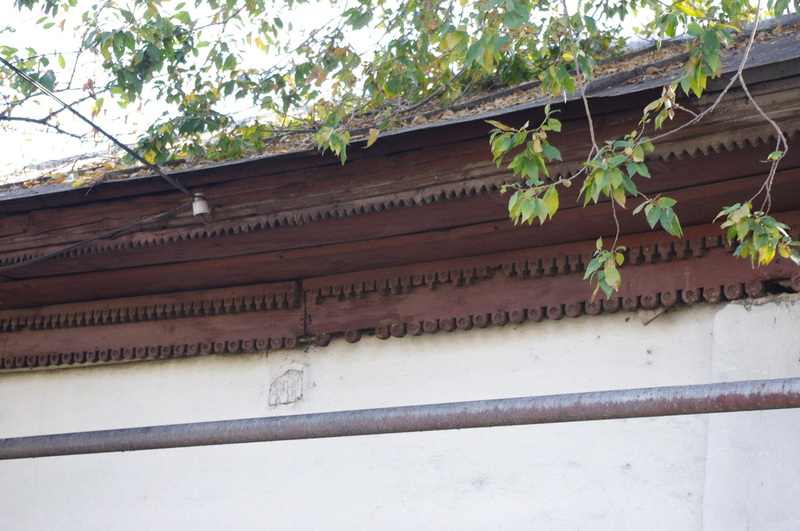 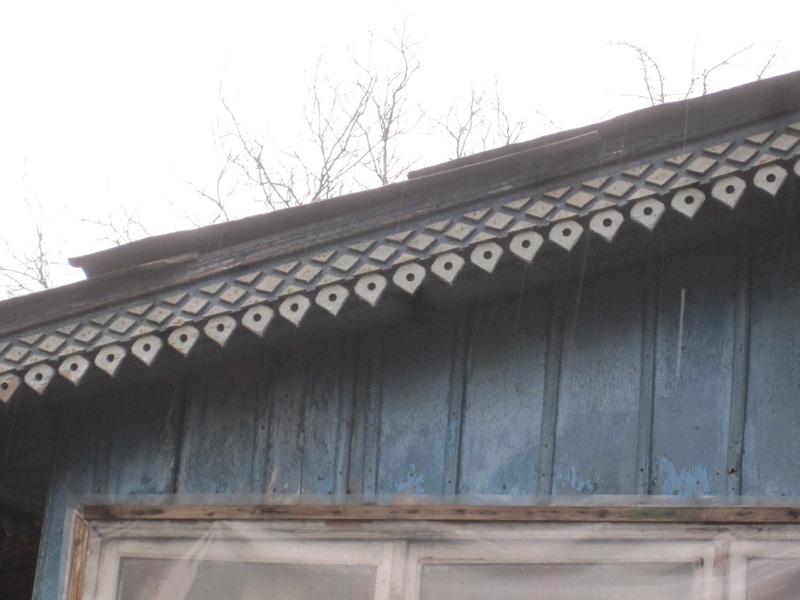 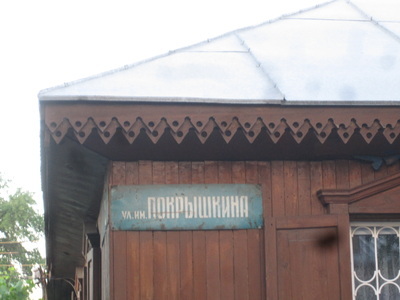 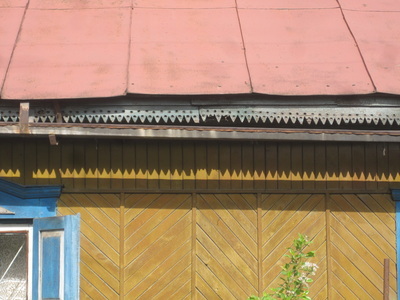 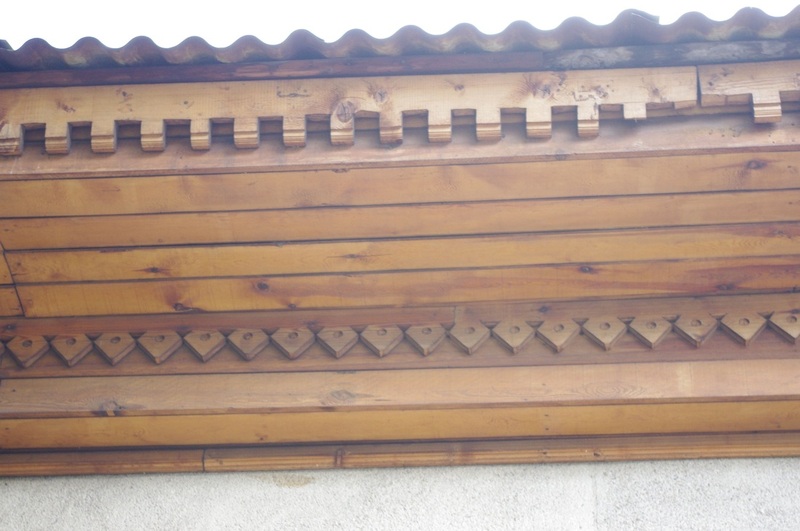 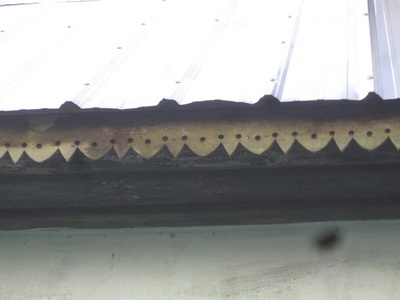 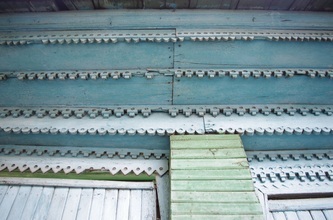 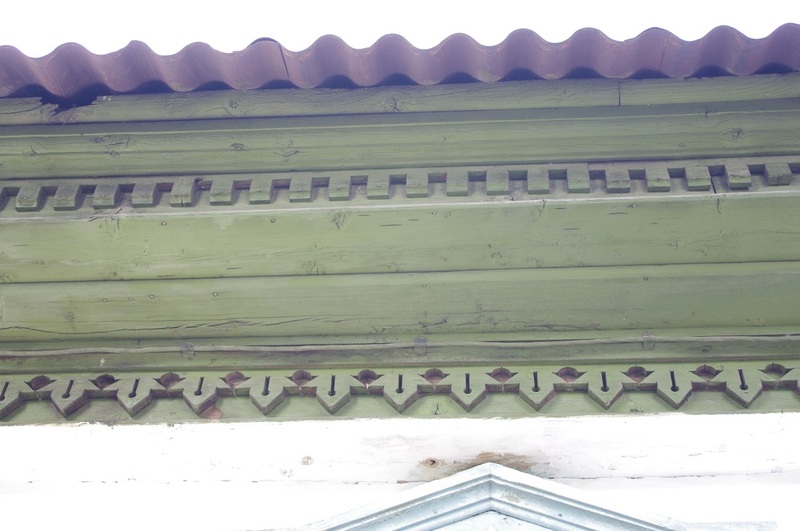 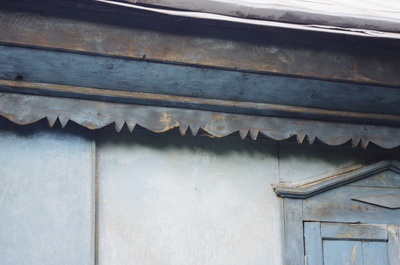 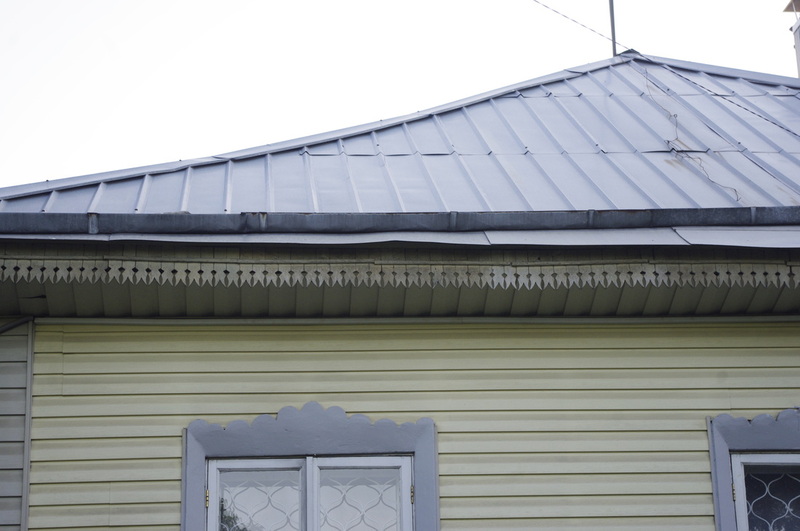 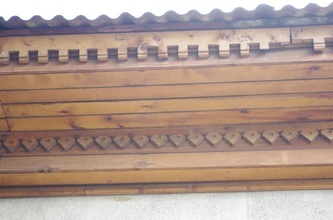 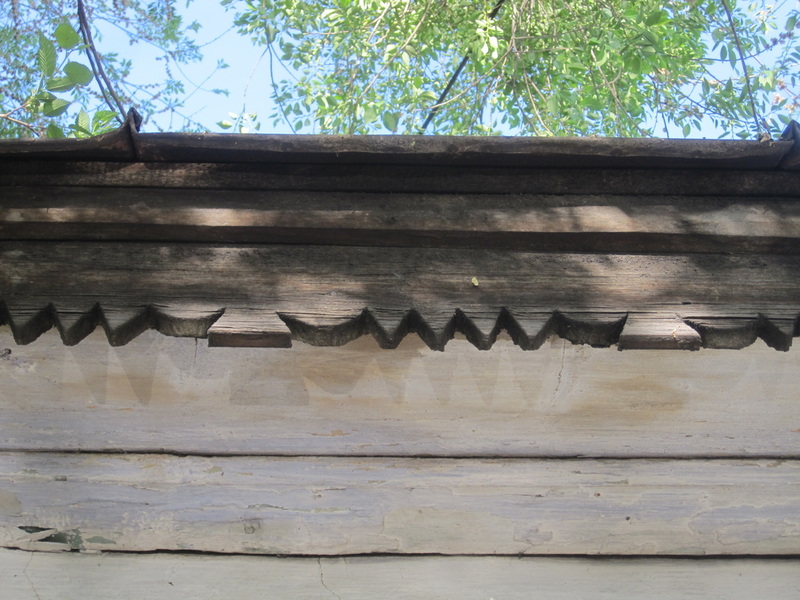 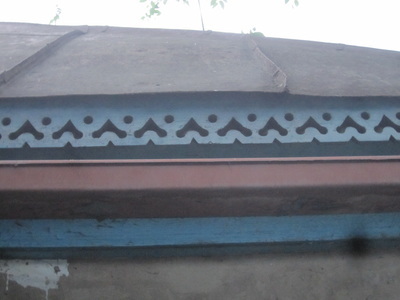 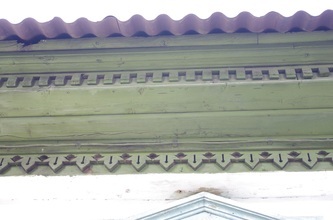 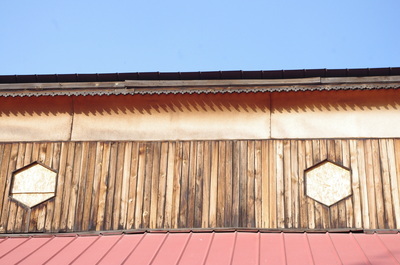 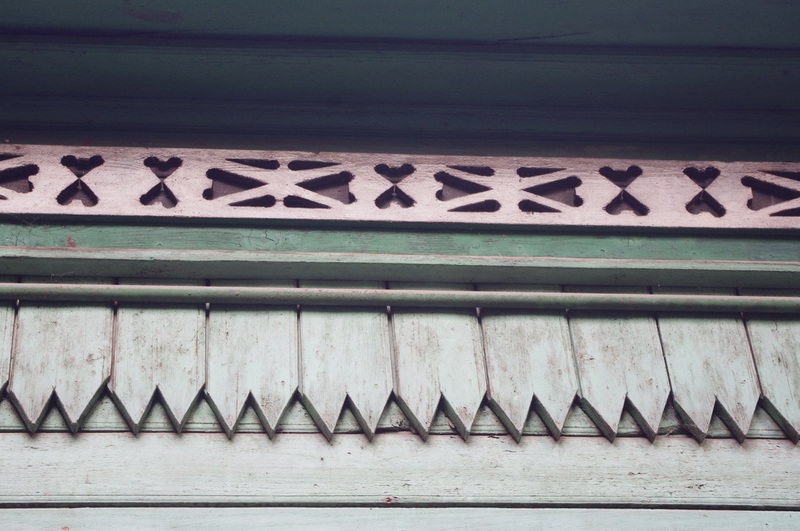 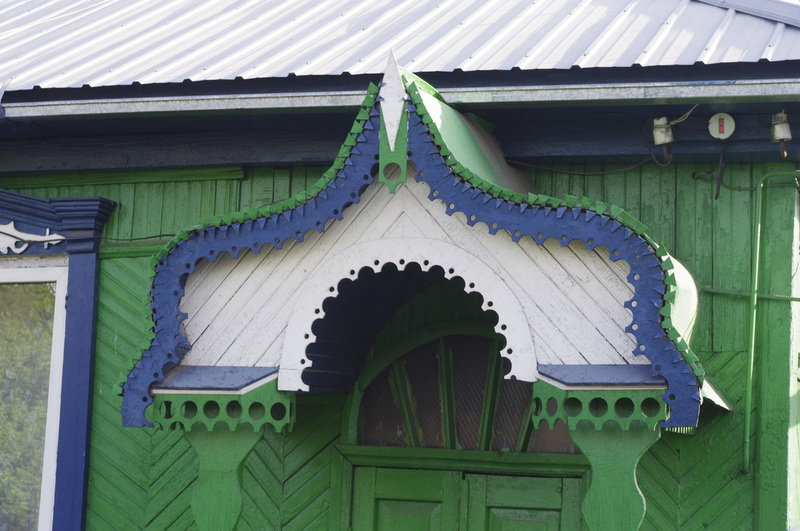 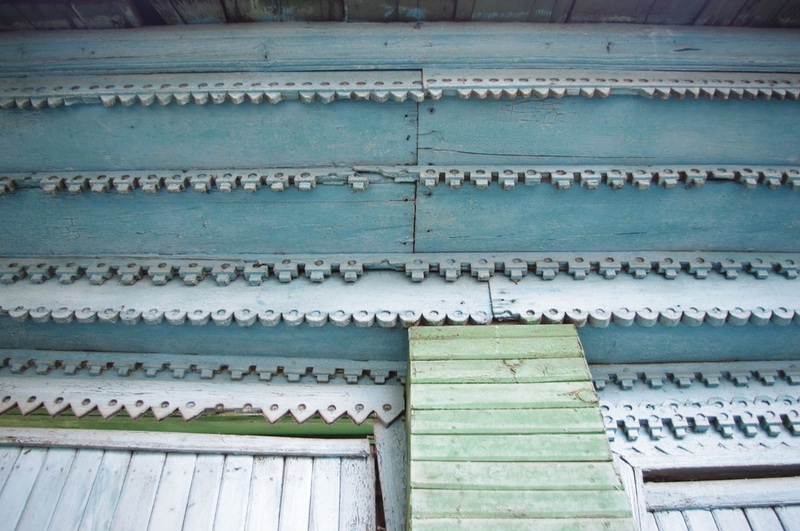 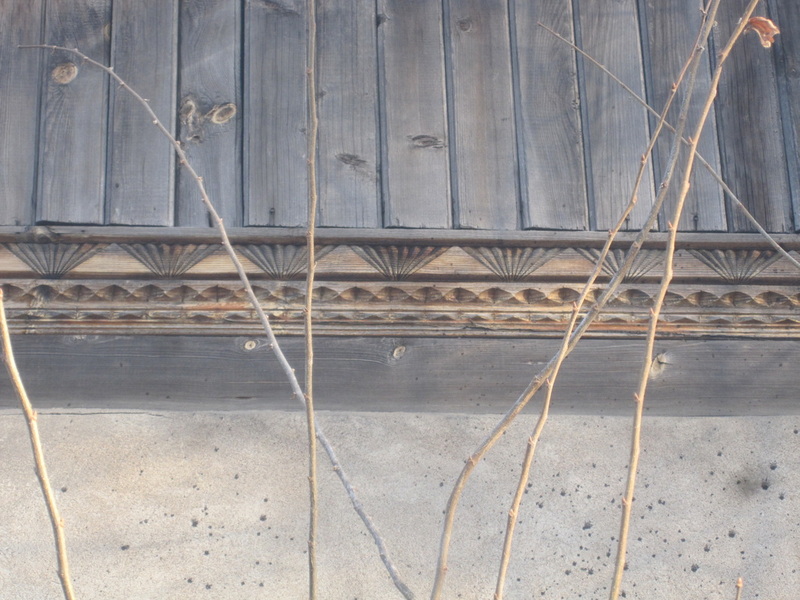 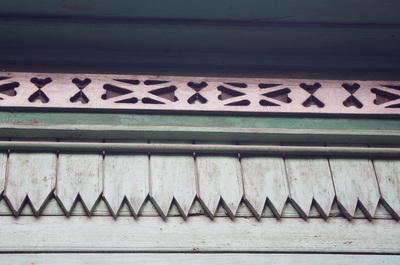 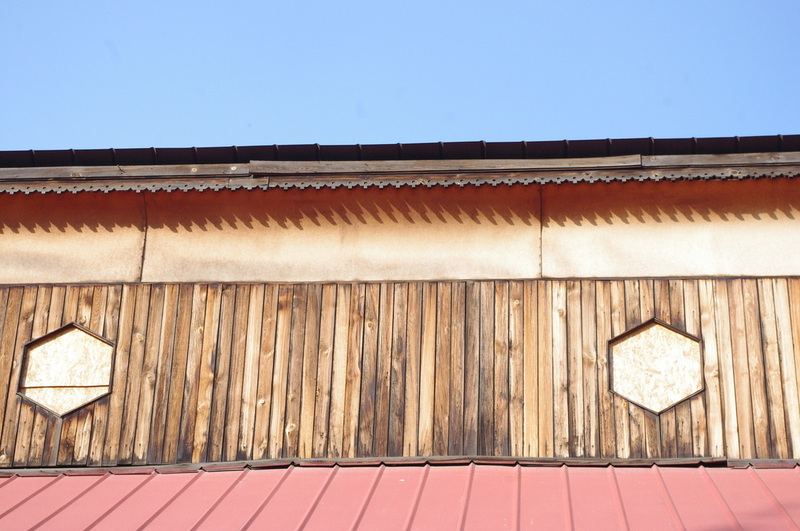 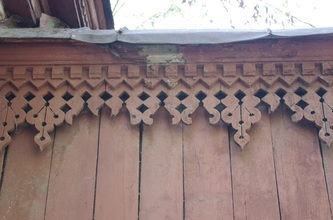 Called karnizy [карнизы] in Russian, eaves are the parts of a roof that hang over the walls, and here they are frequently carved into beautiful patterns. 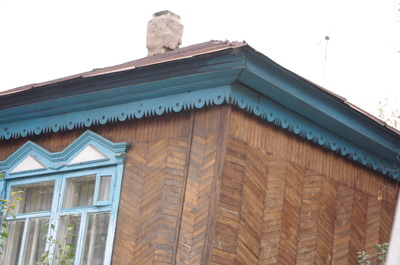 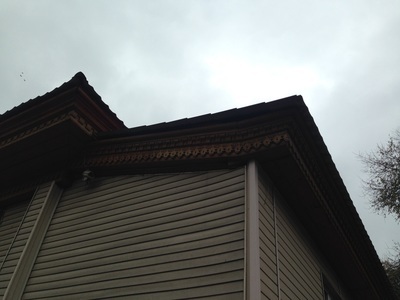 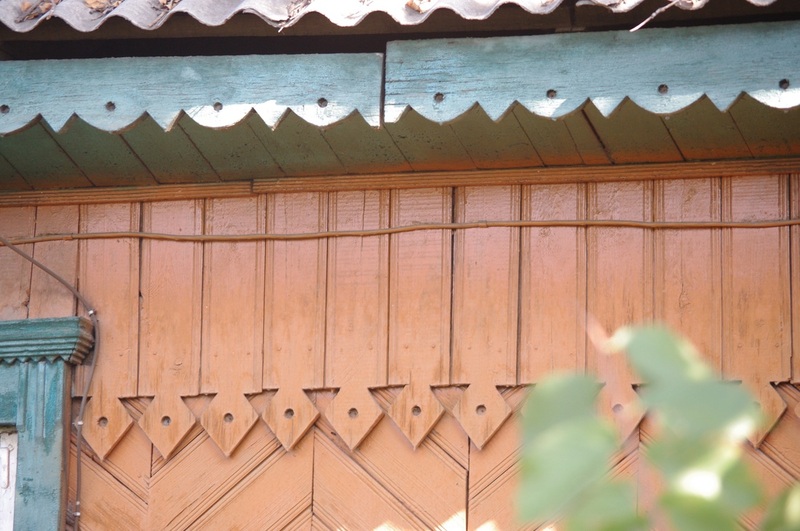 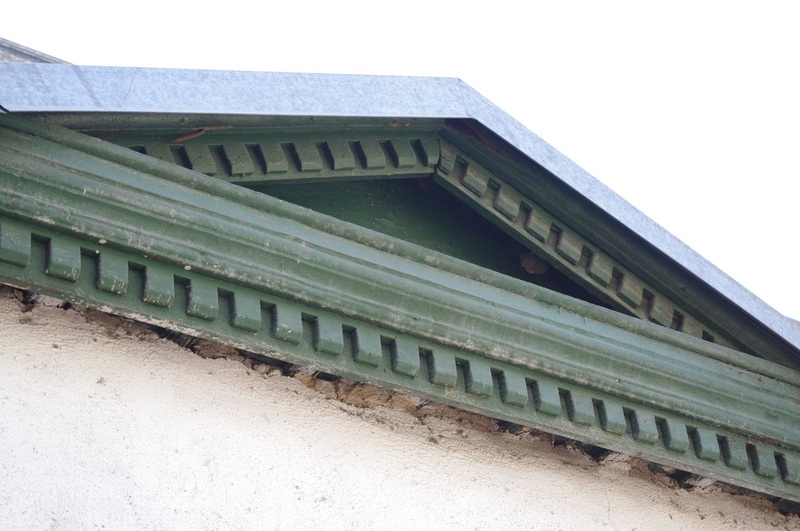 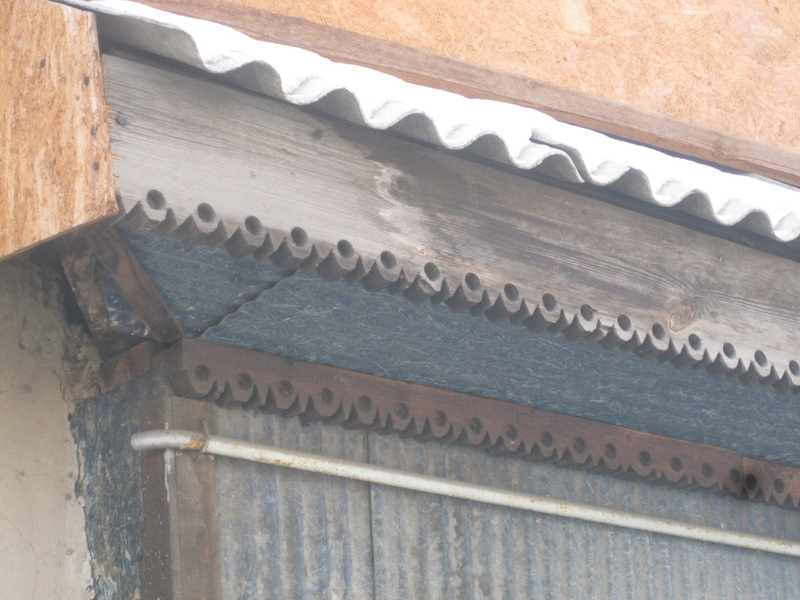 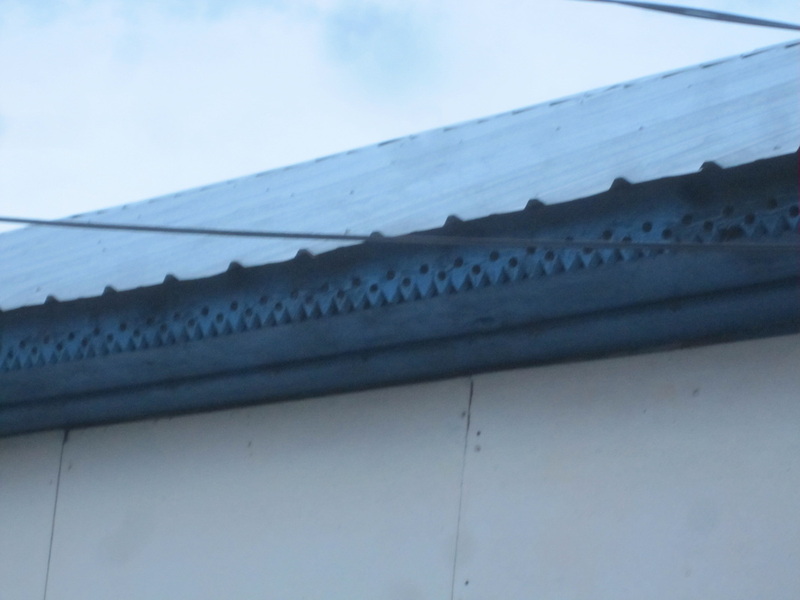 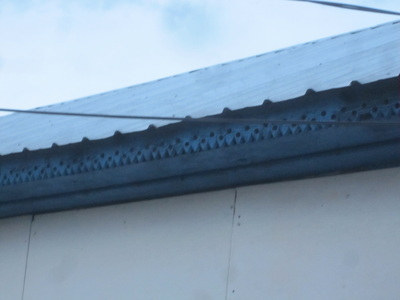 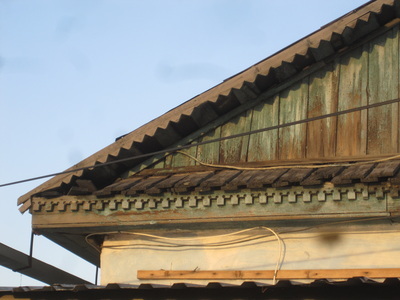 Even otherwise plain plaster homes might have carved wooden strips running around the edge of the roof, adding a level of detail that lifts up the whole home. When I look at carved karnizy, I don't enjoy the creative geometry; I enjoy thinking about the man hours involved, the devotion that people once gave to purely aesthetic touches. 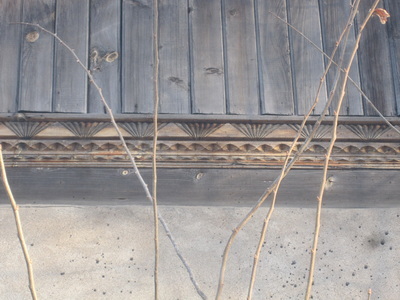 Every little groove is the mark of a craftsman, and I wish I could say that the tradition lives. 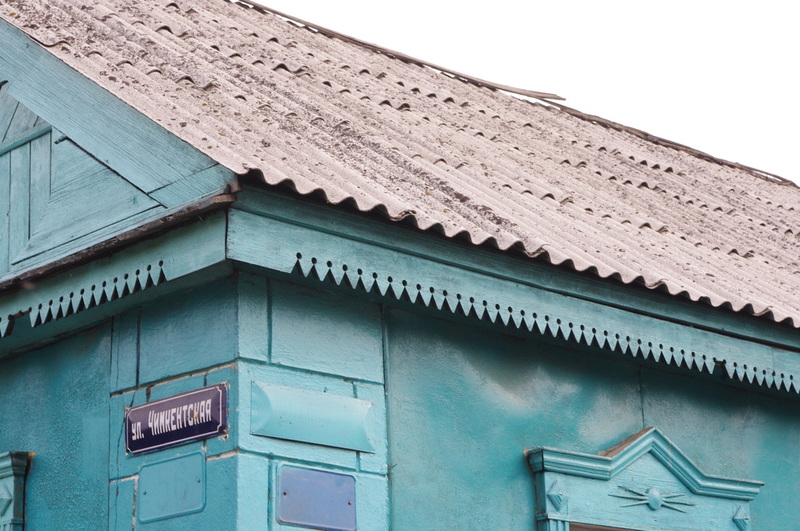 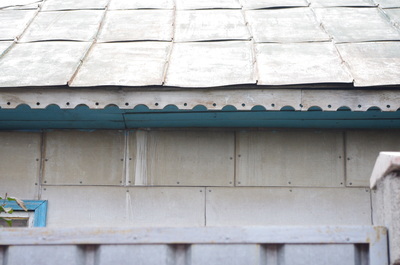 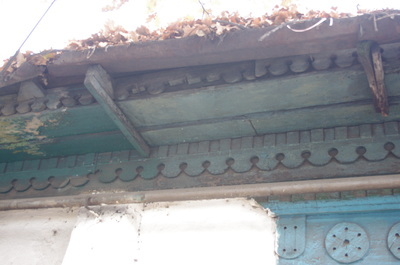 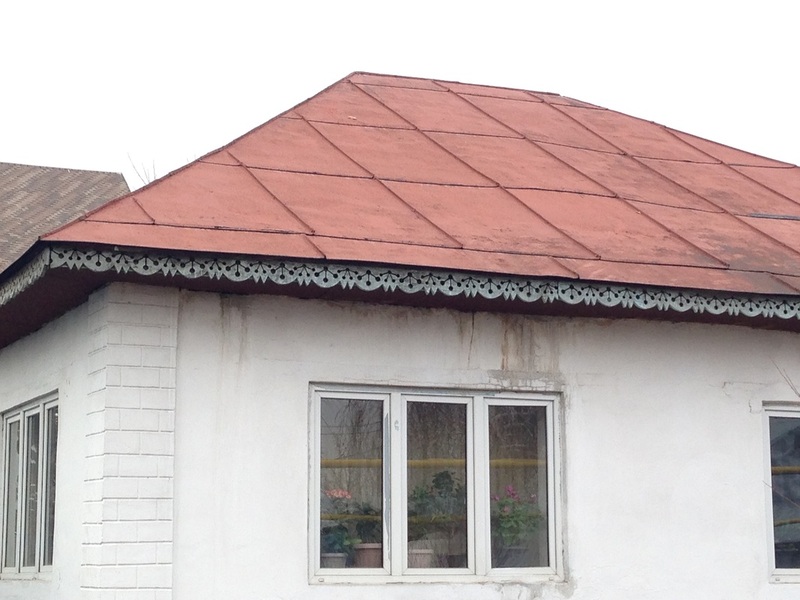 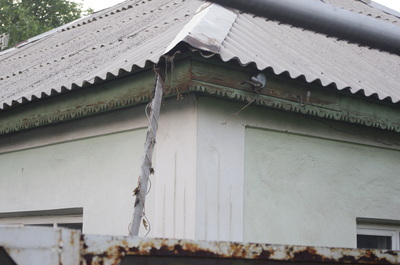 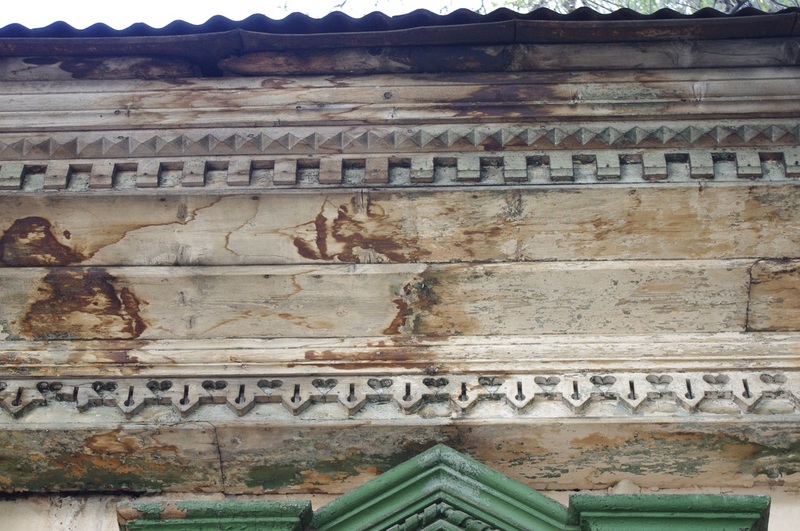 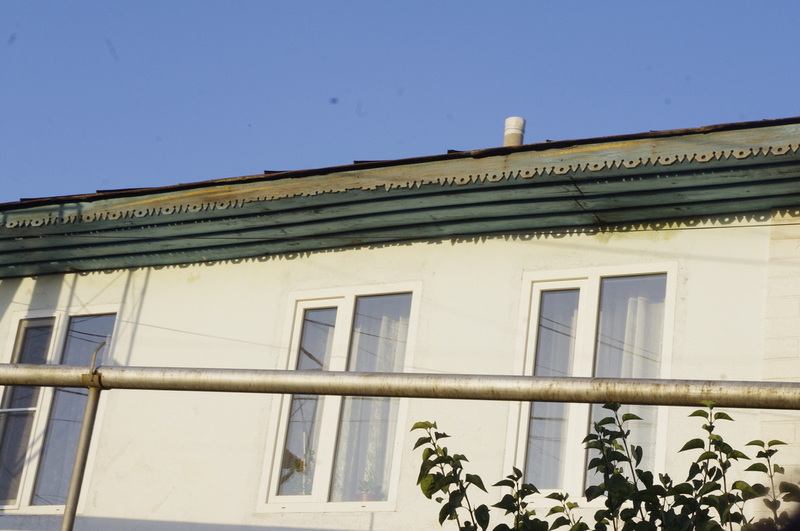 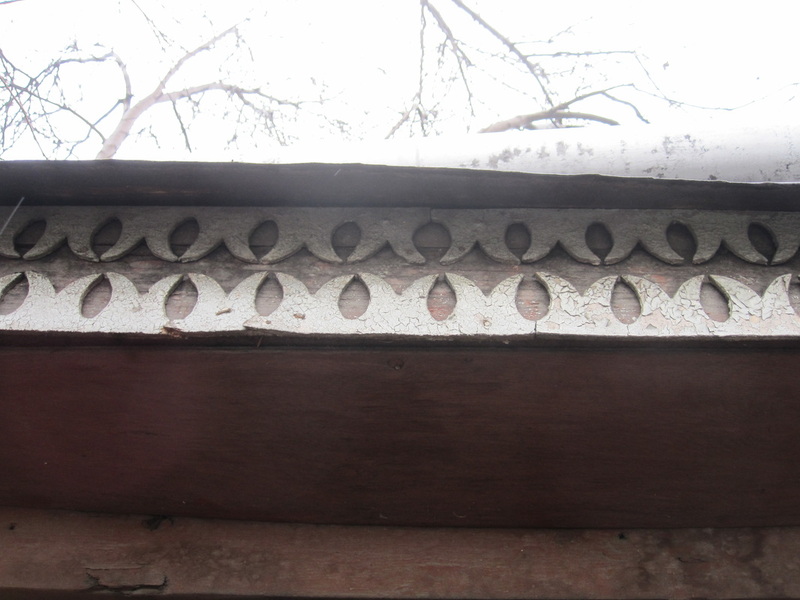 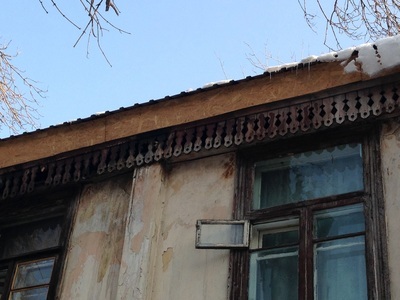 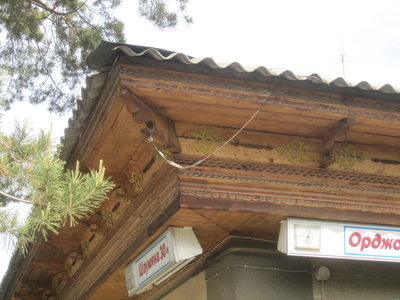 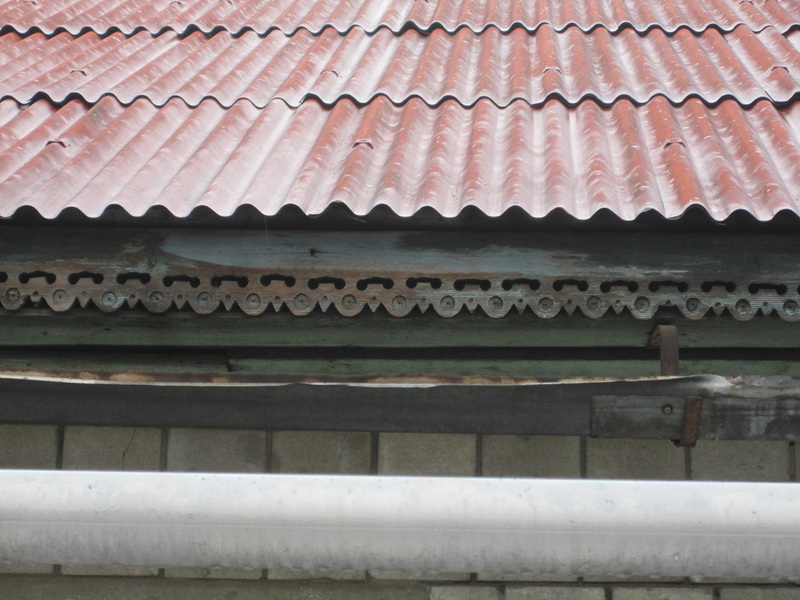 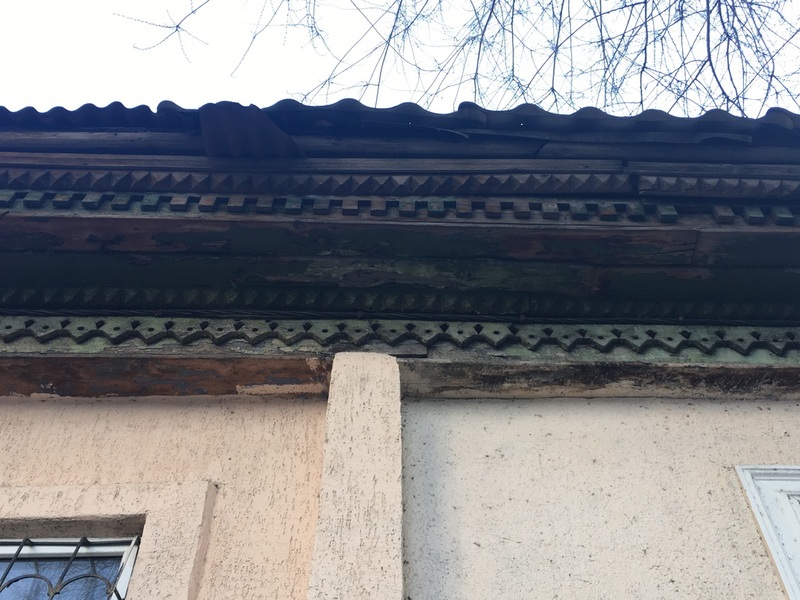 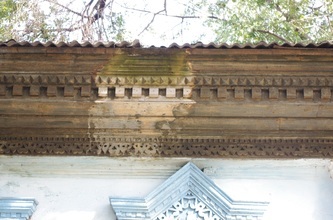 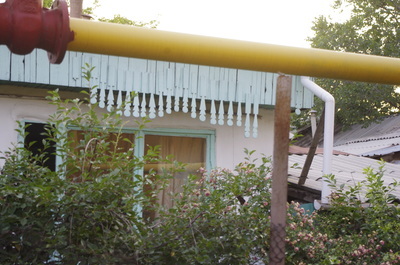 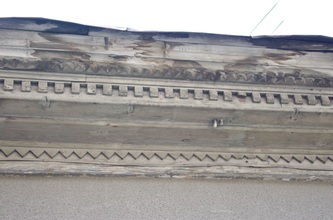 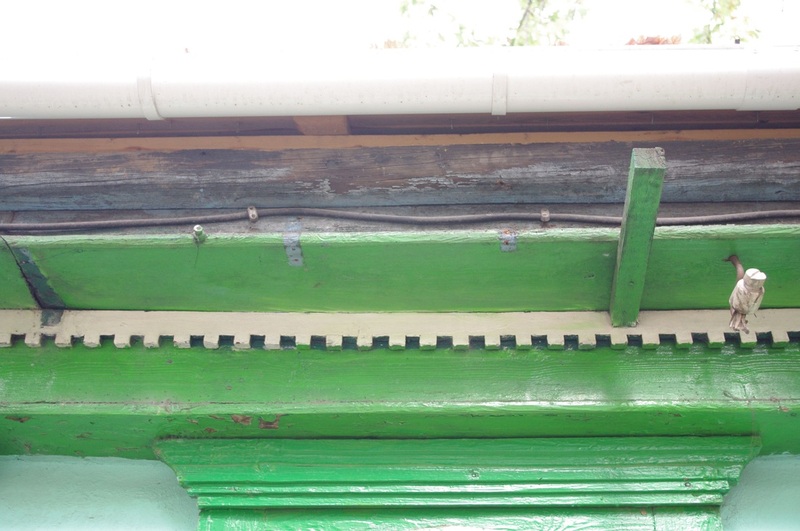 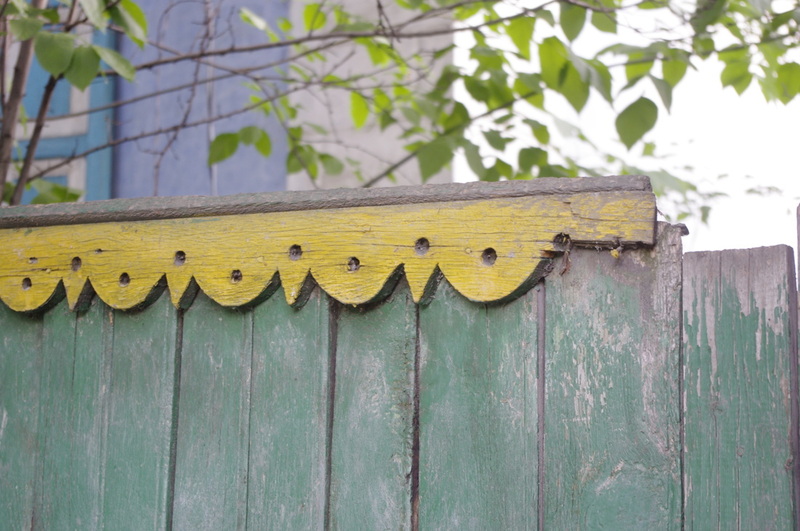 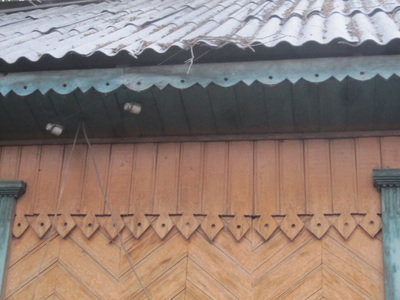 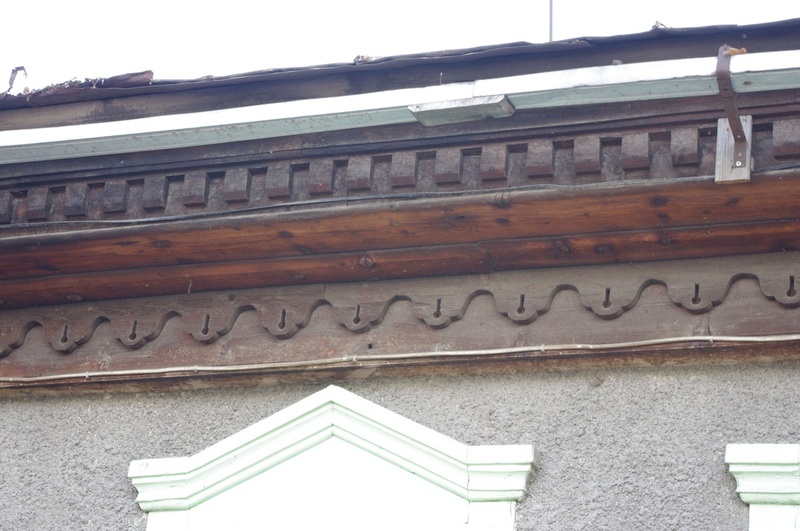 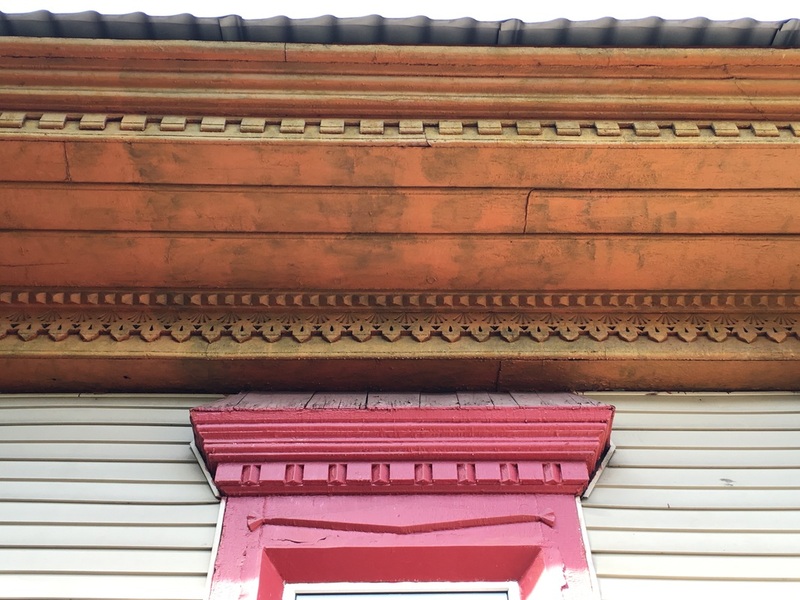 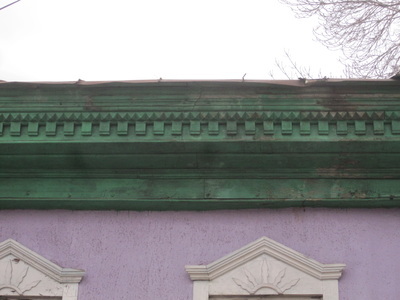 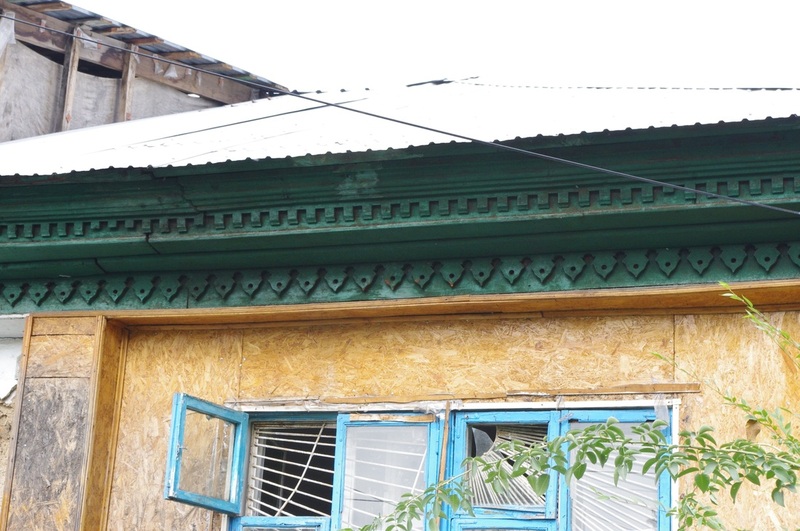 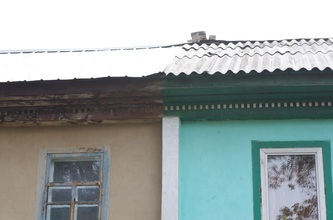 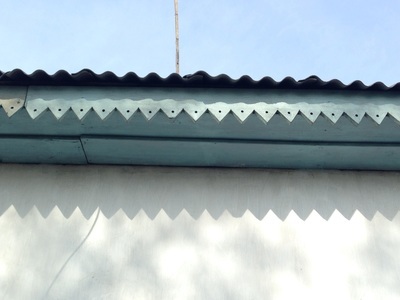 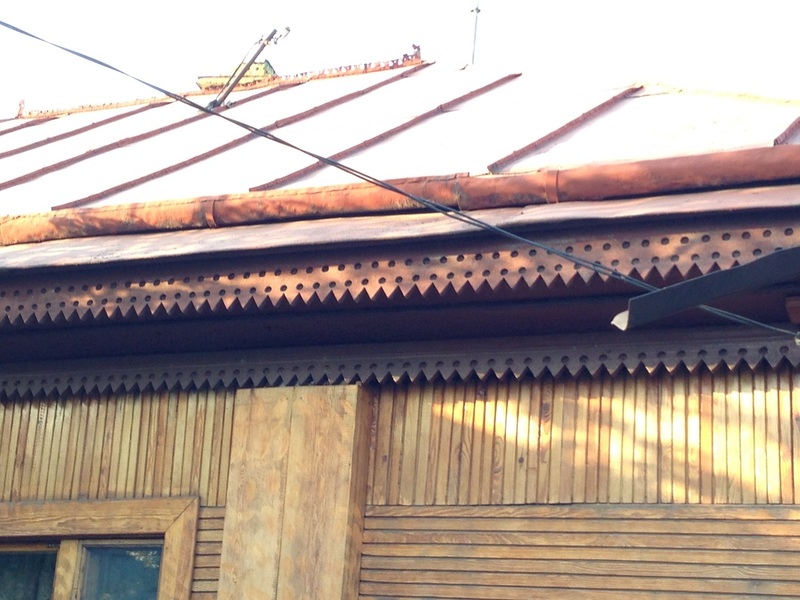 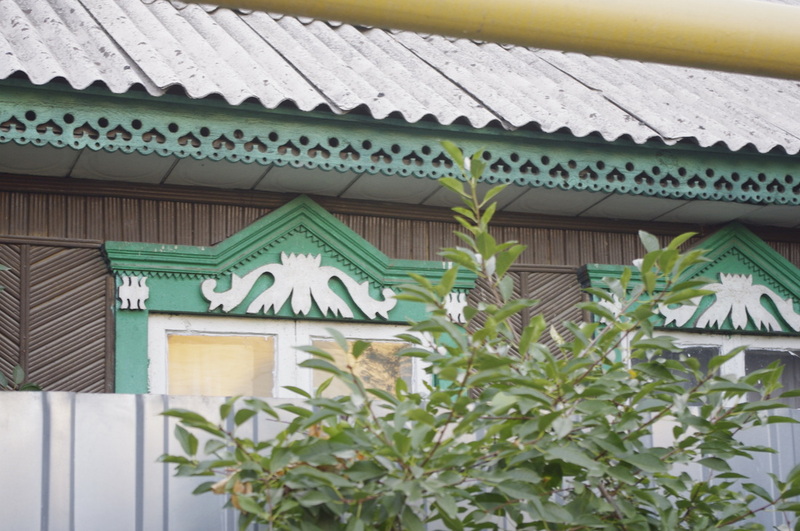 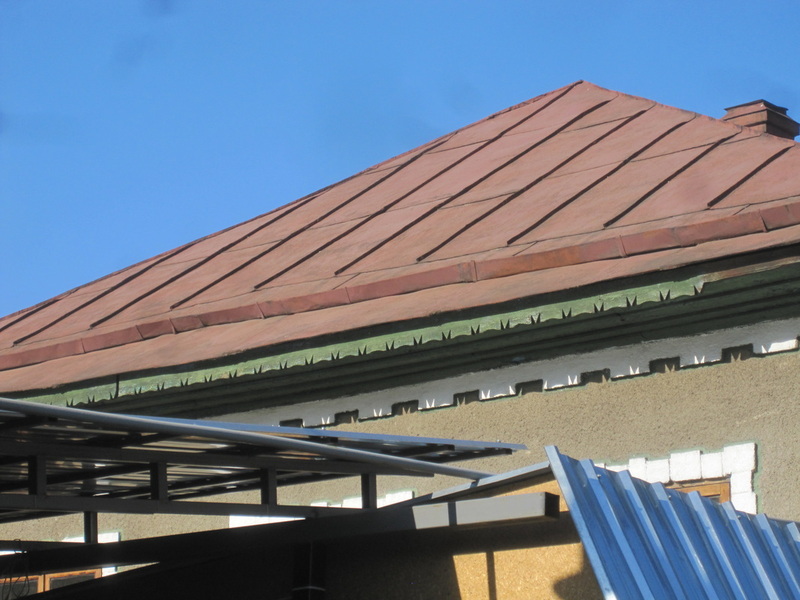 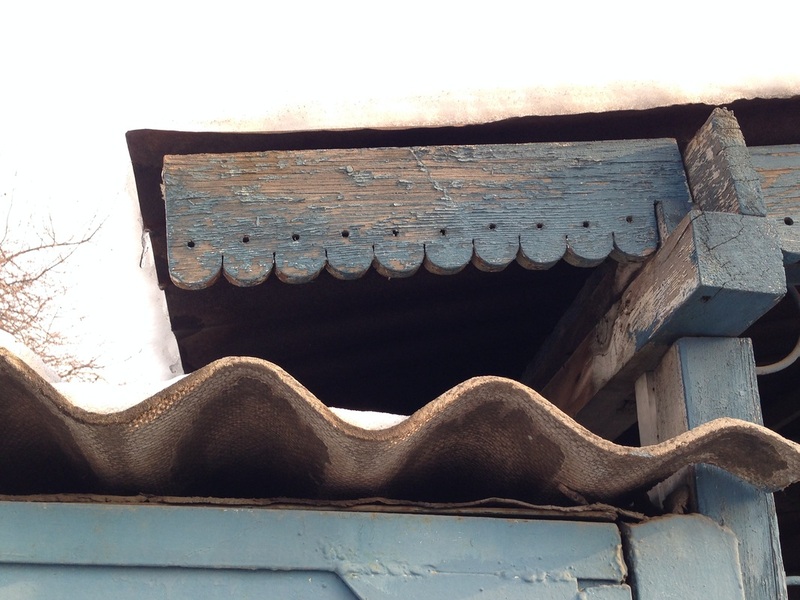 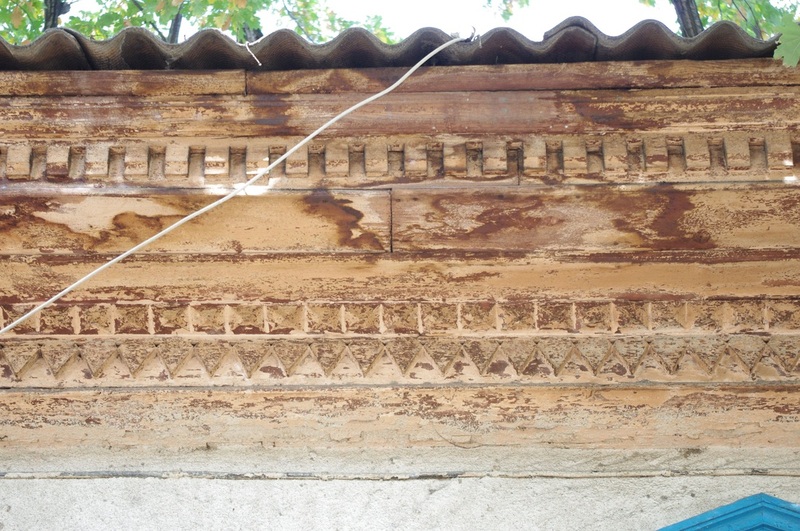 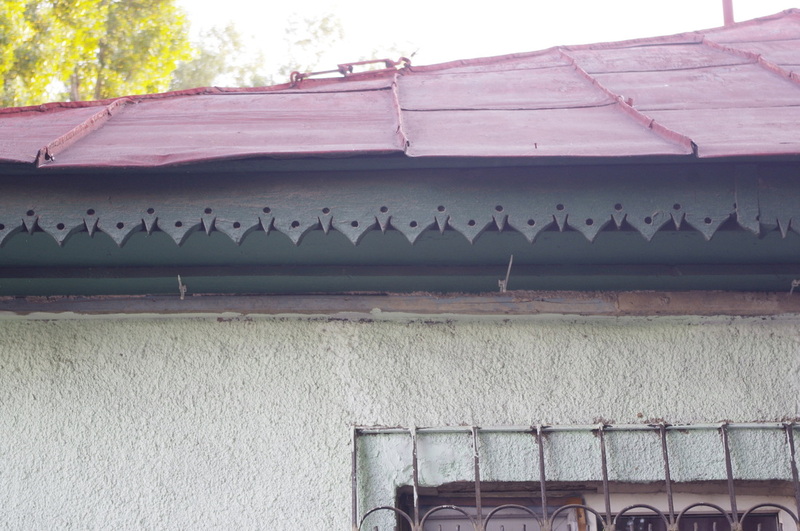 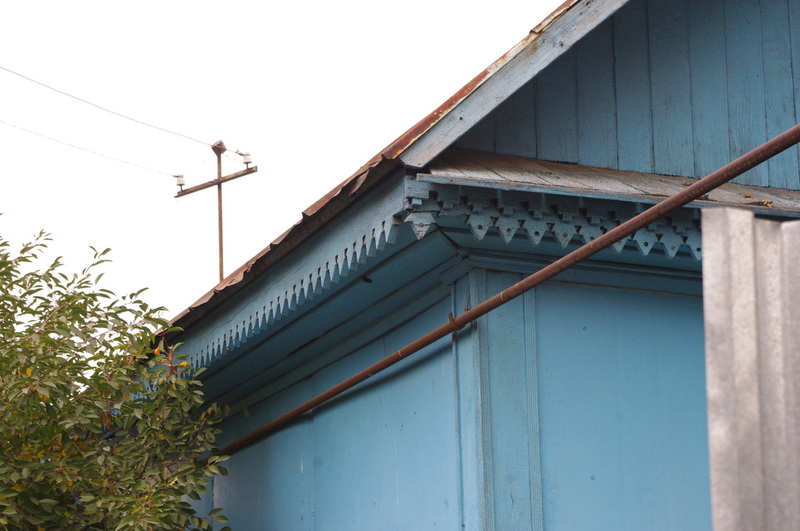 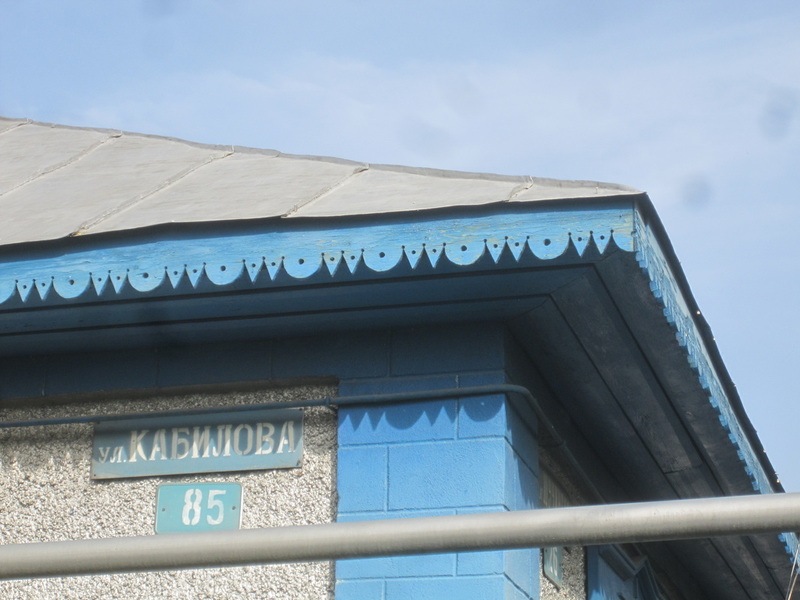 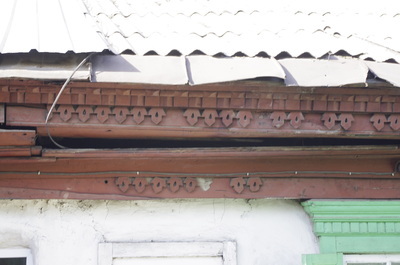 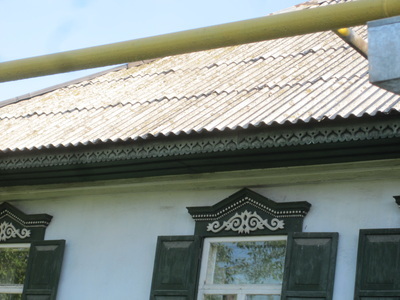 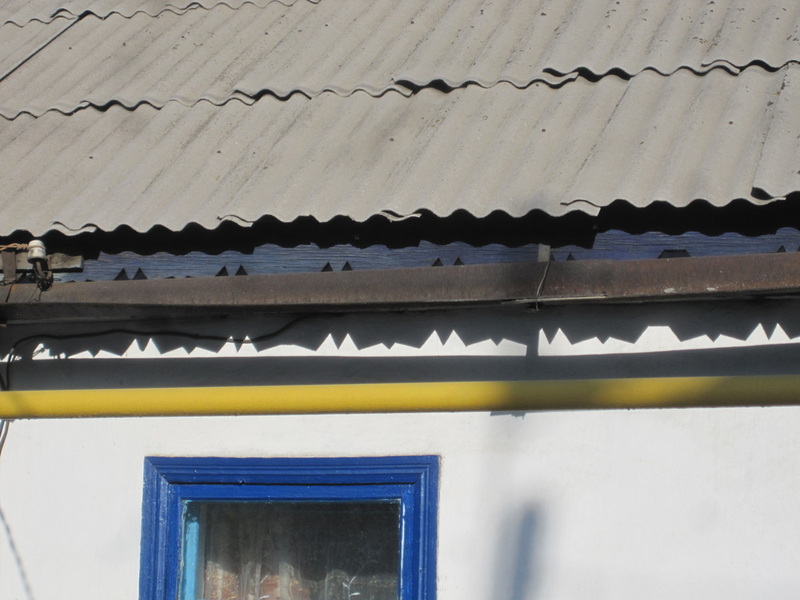 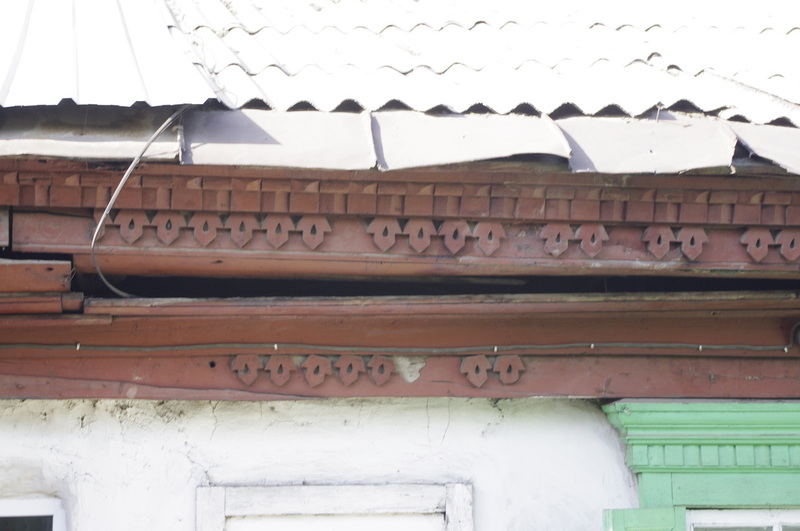 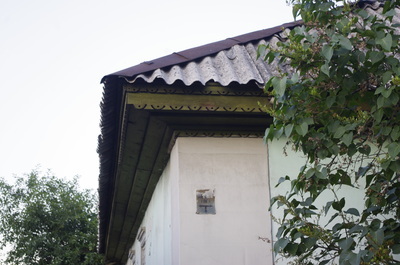 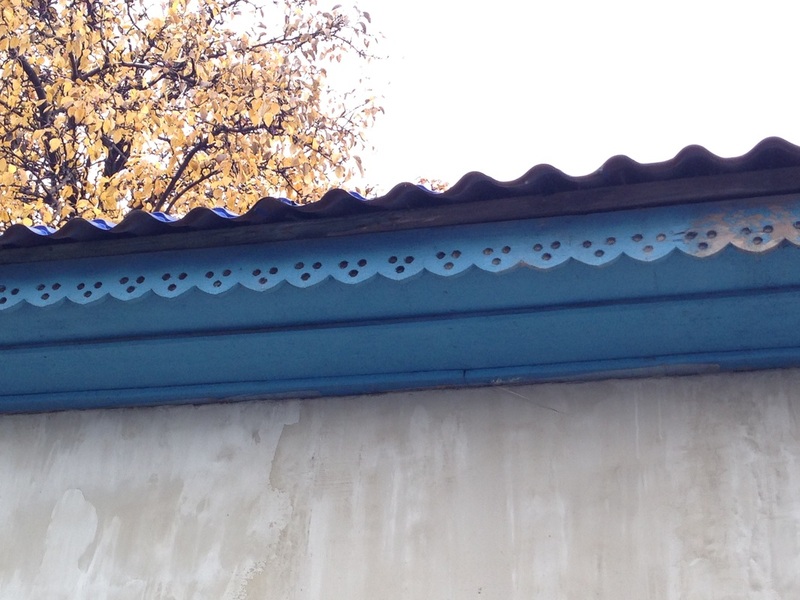 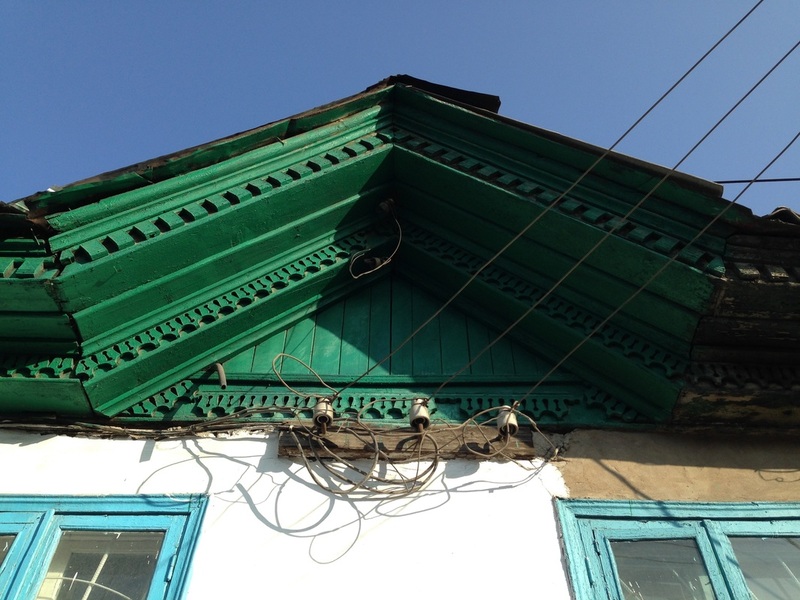 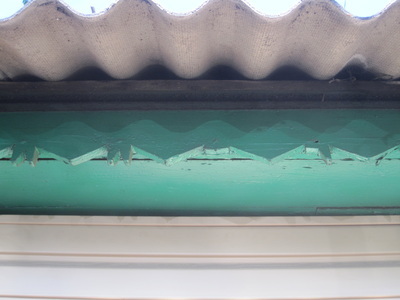 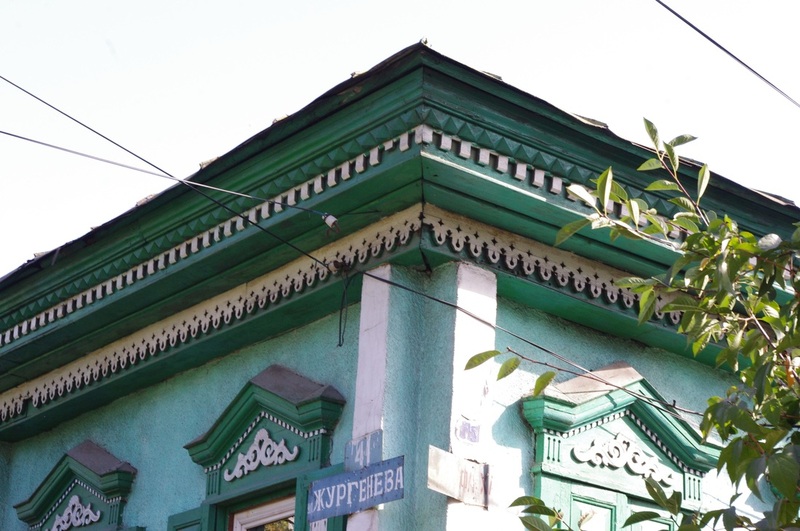 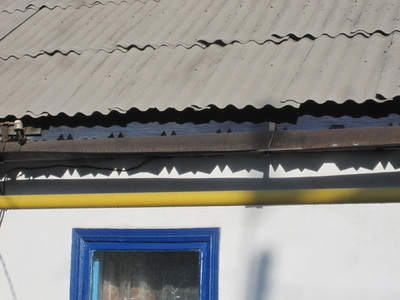 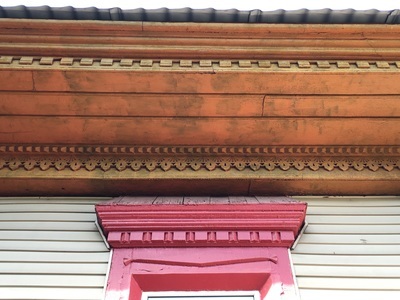 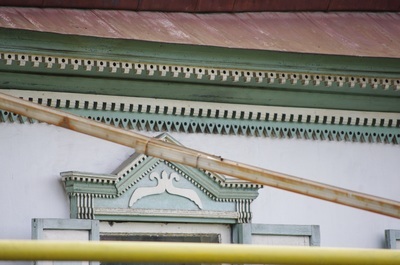 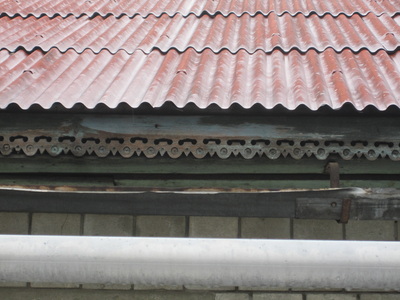 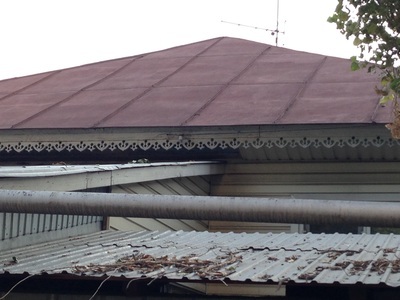 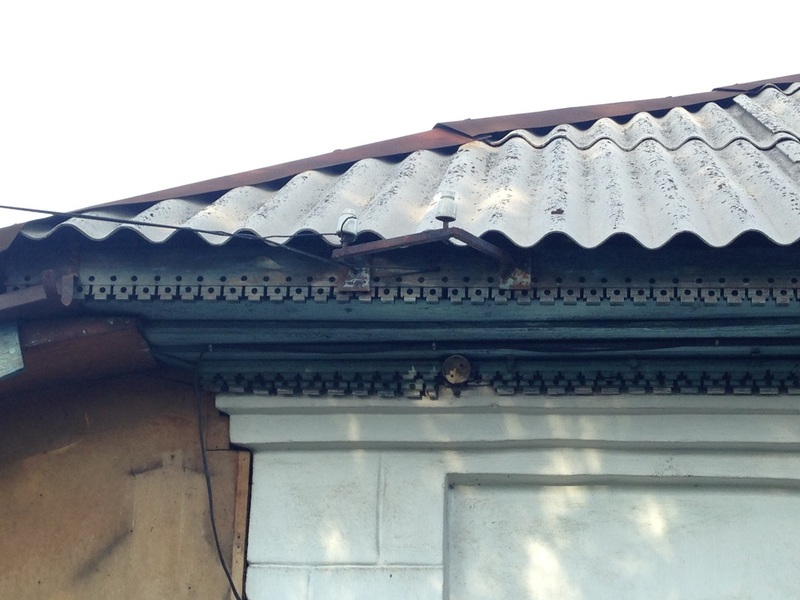 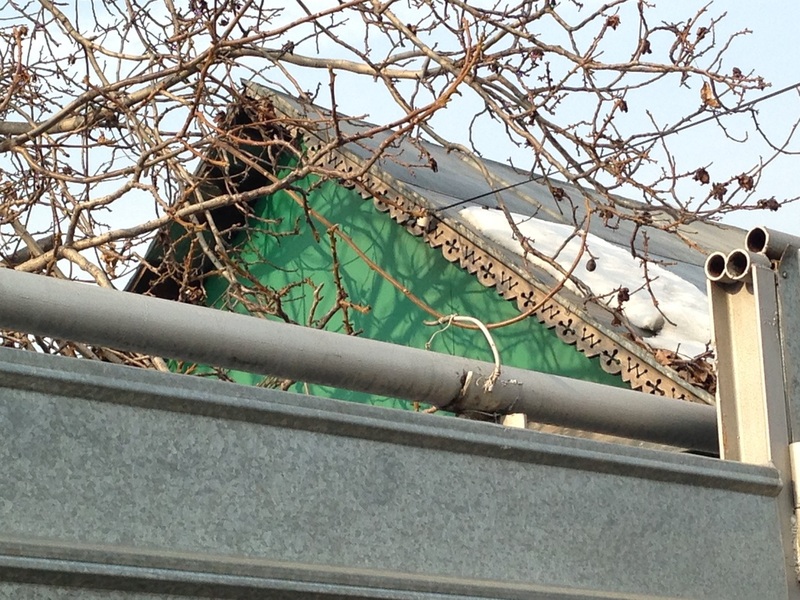 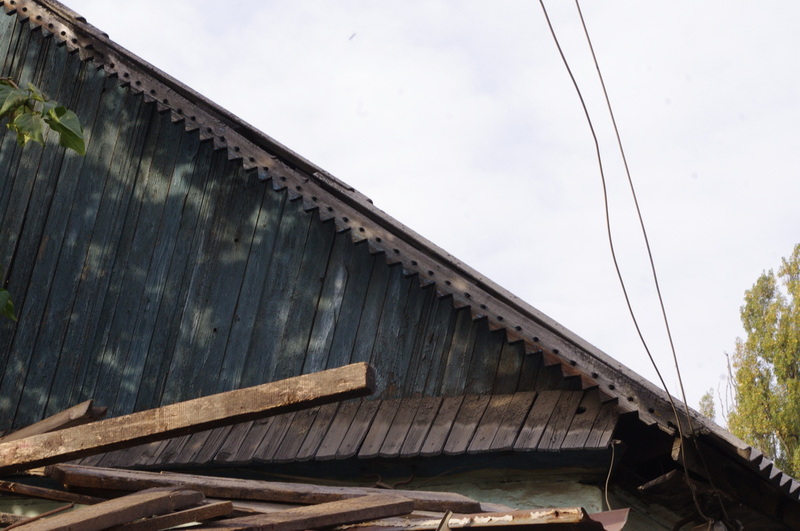 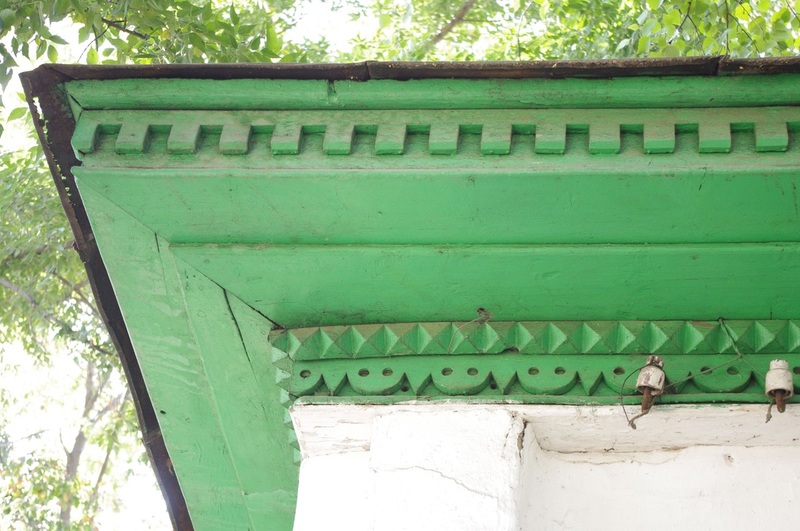 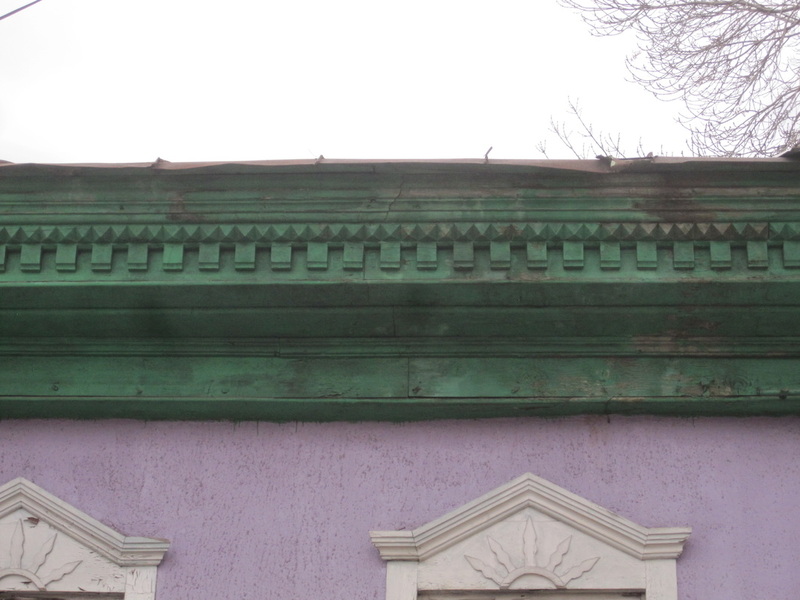 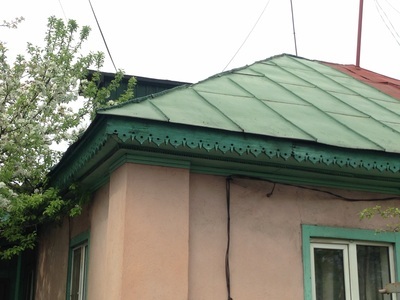 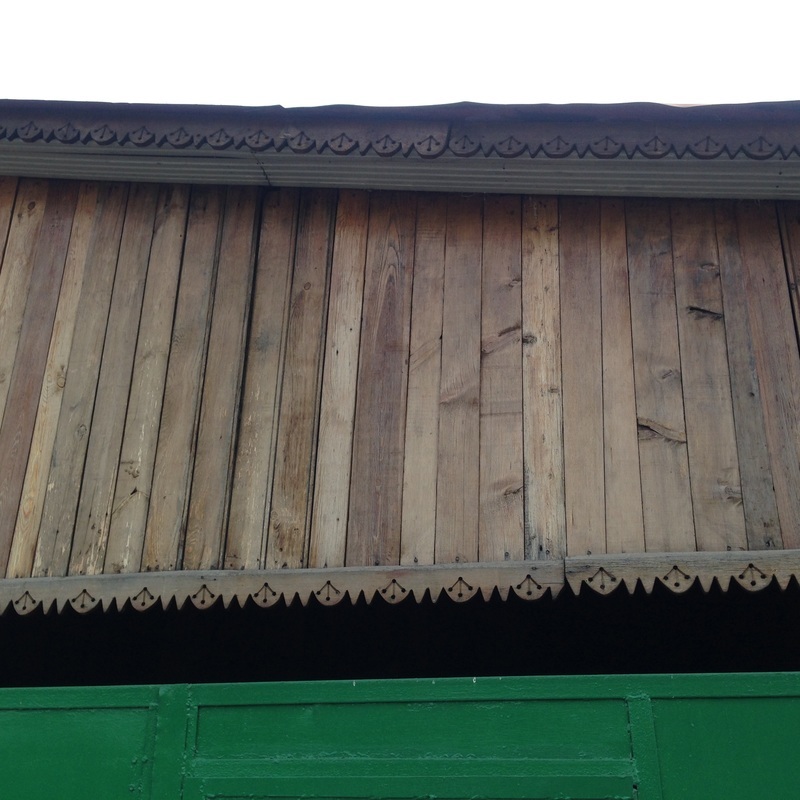 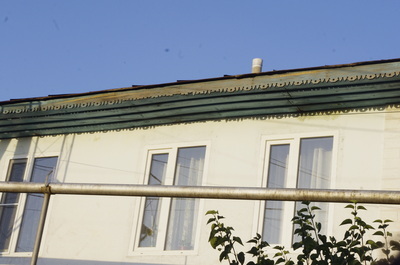 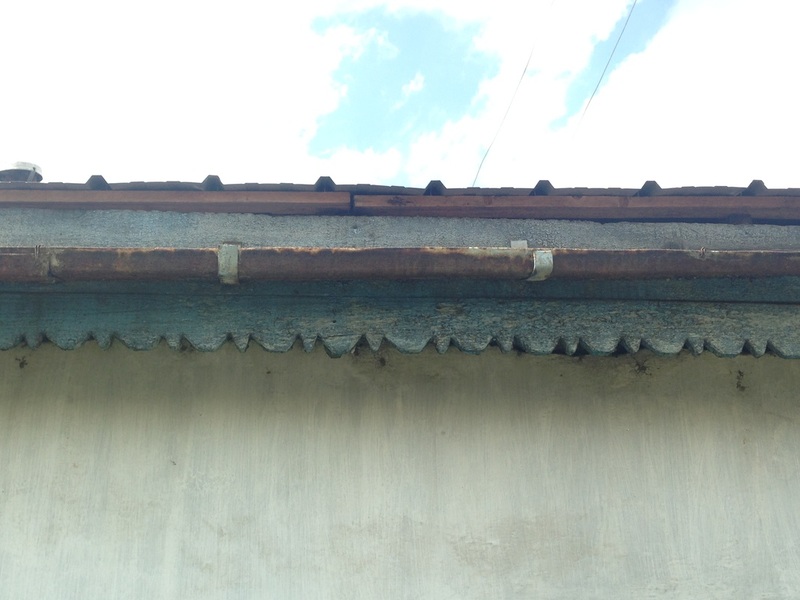 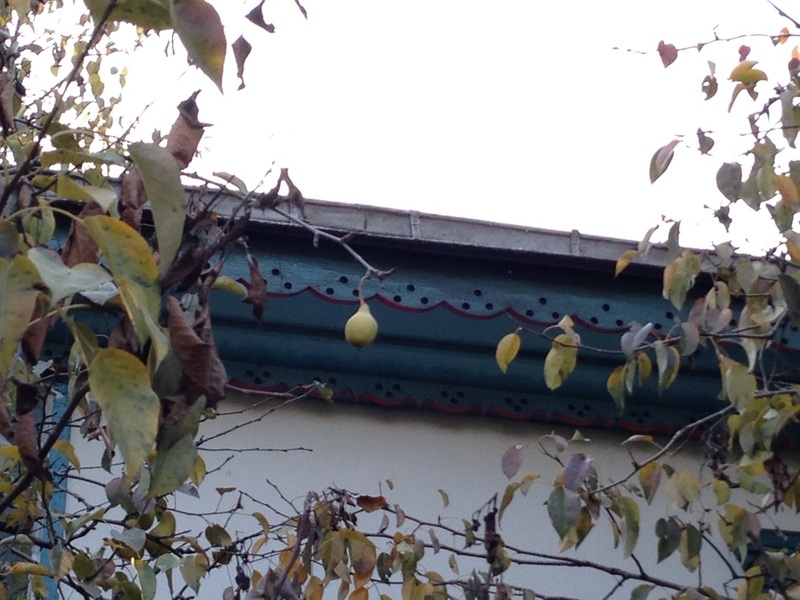 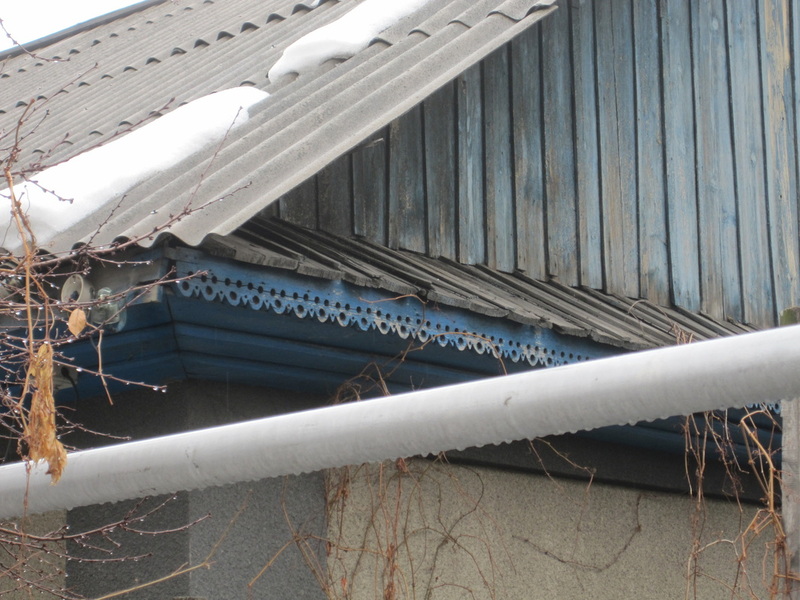 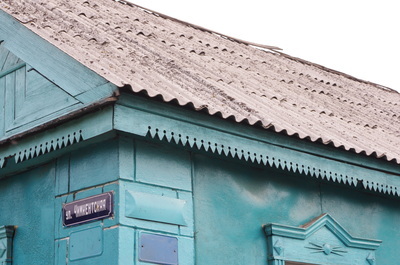 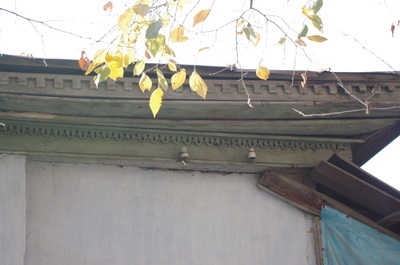 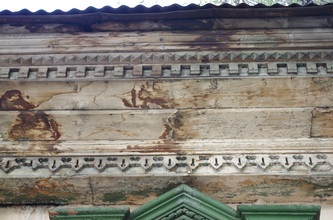 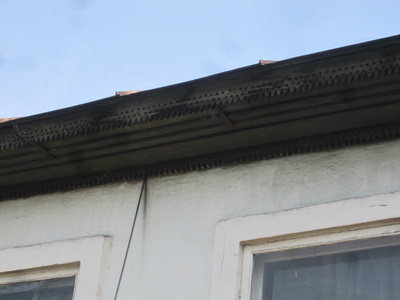 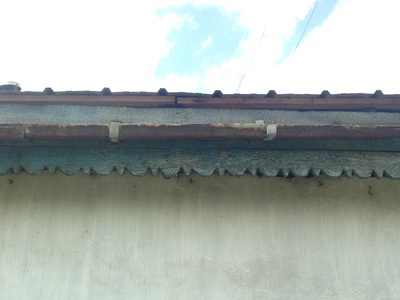 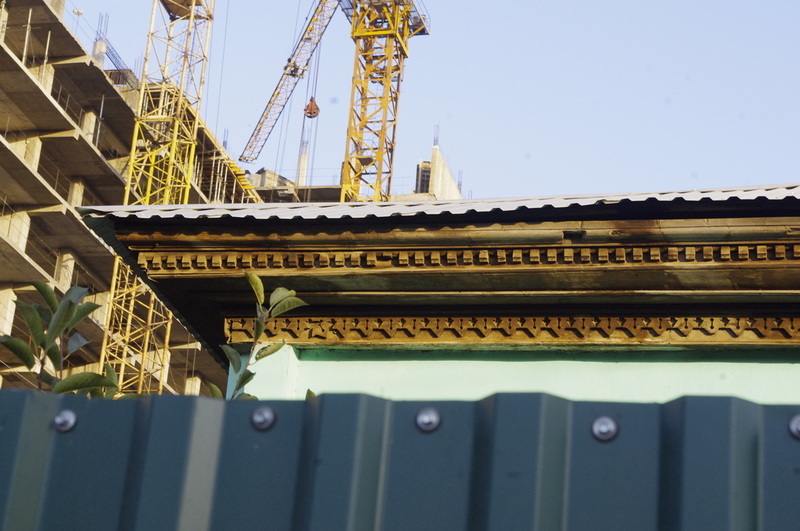 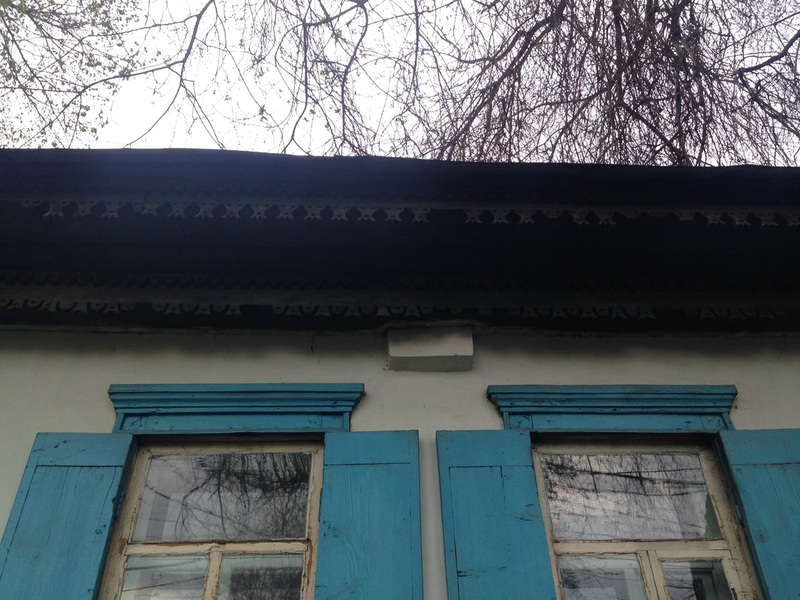 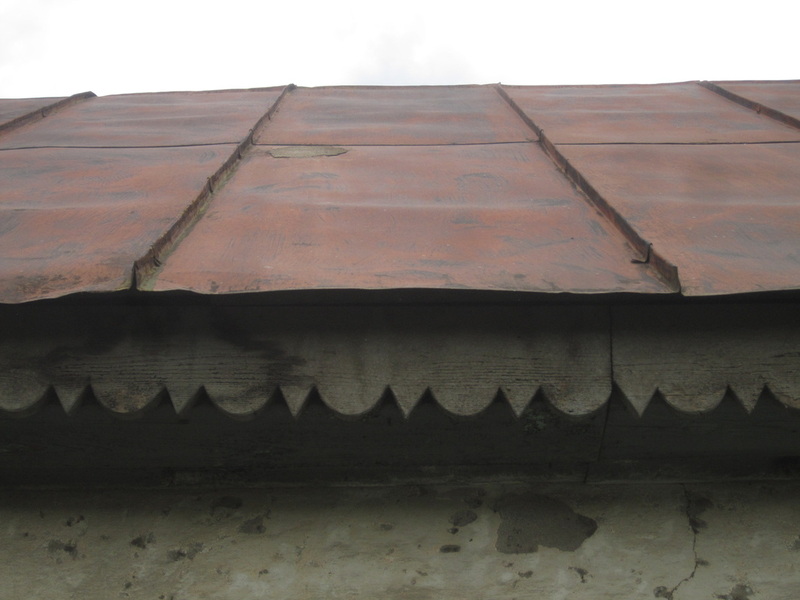 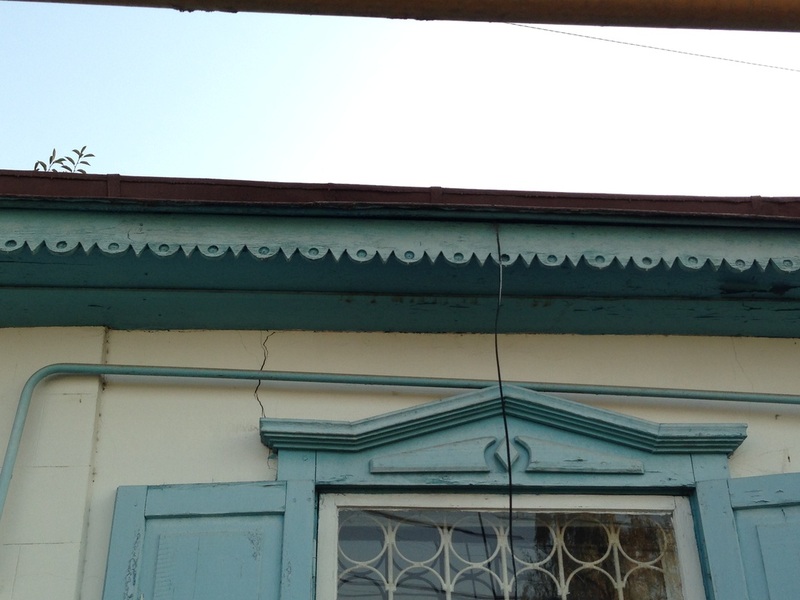 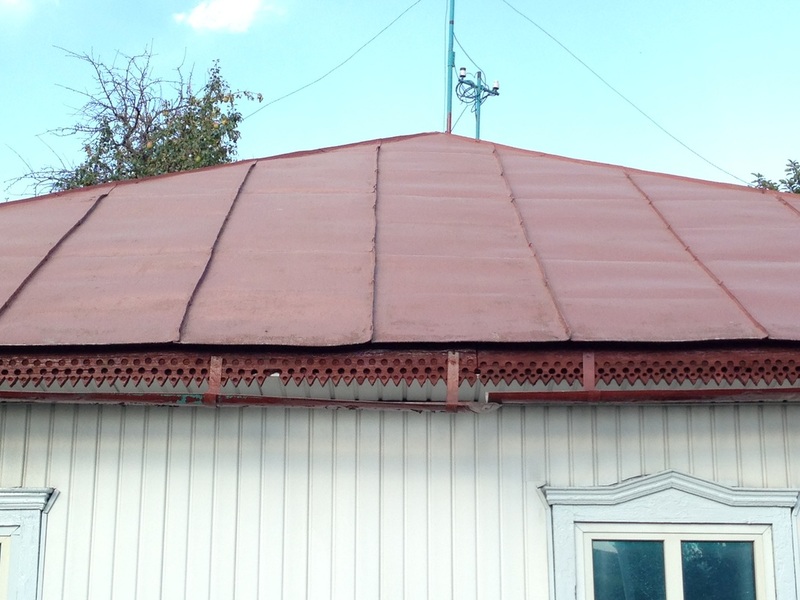 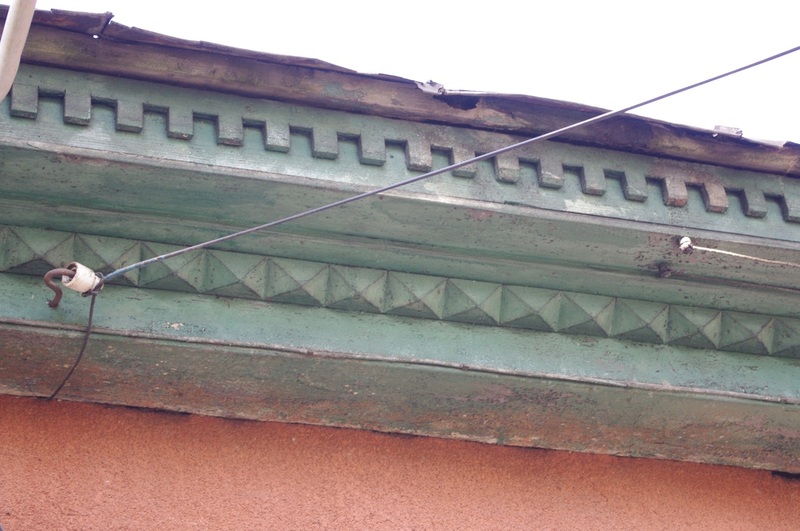 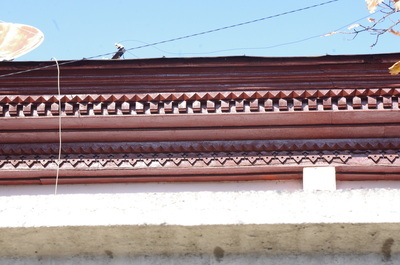 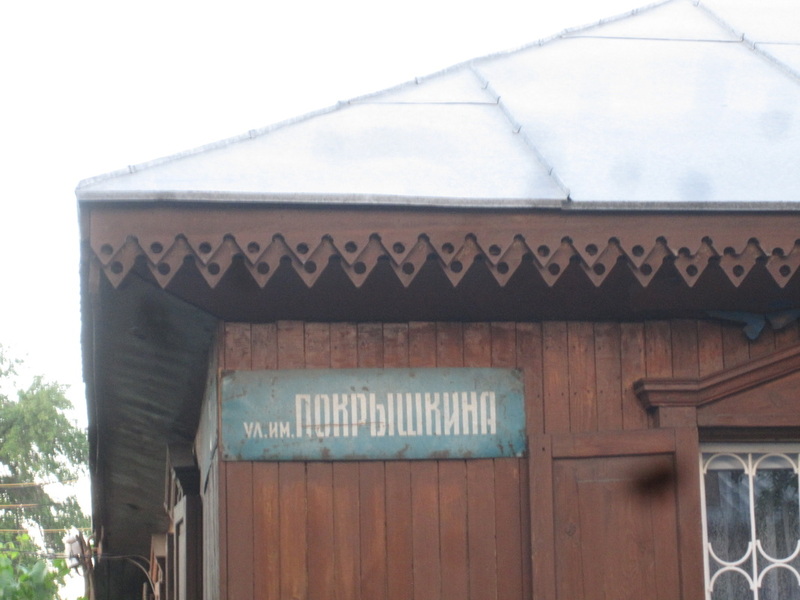 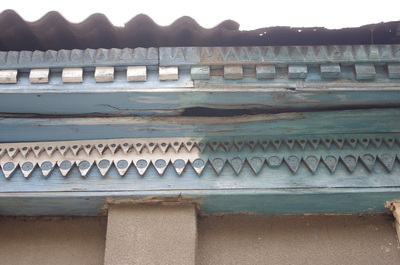 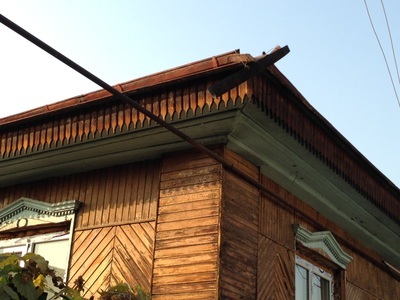 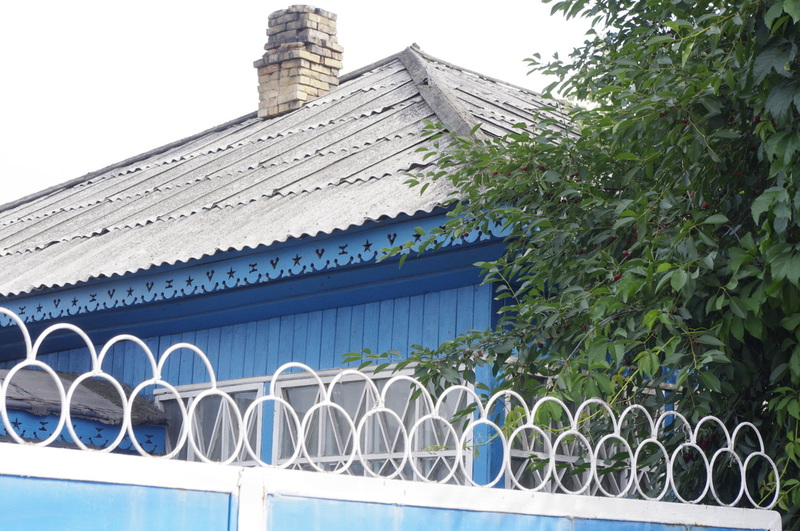 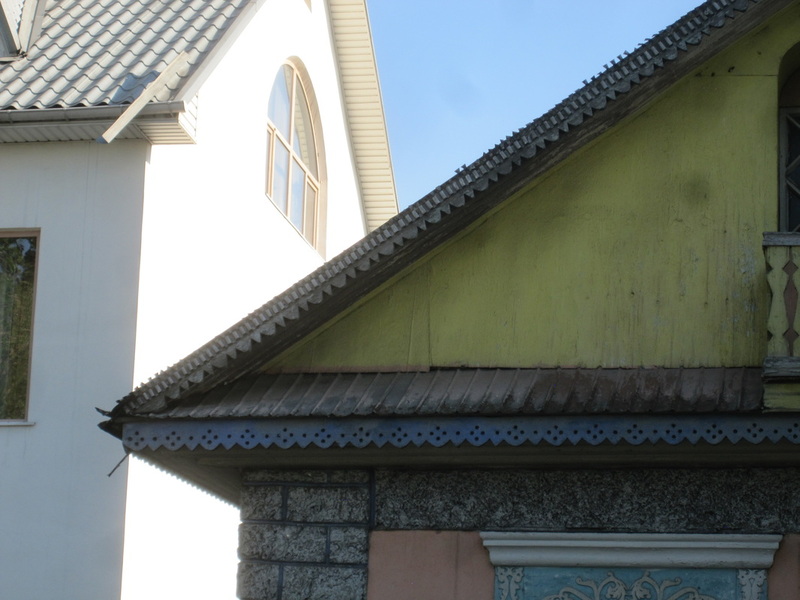 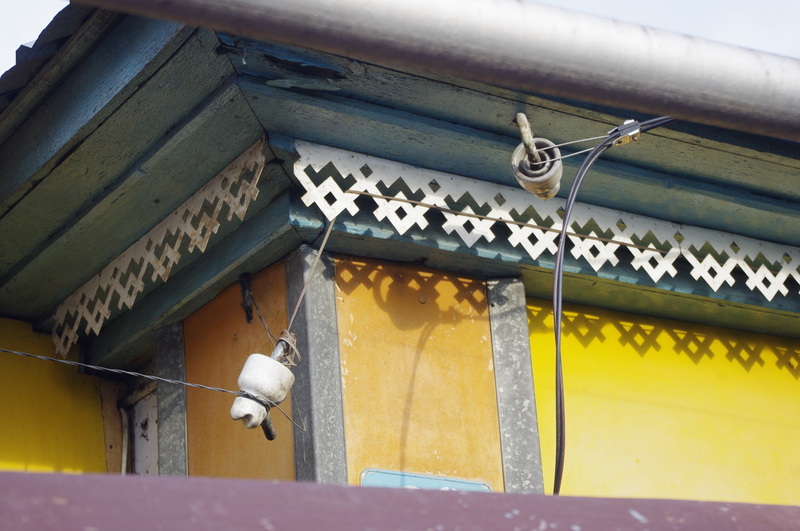 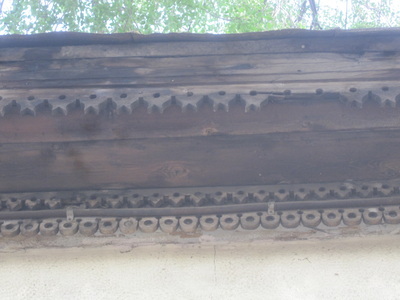 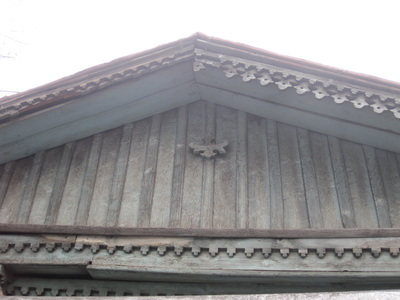 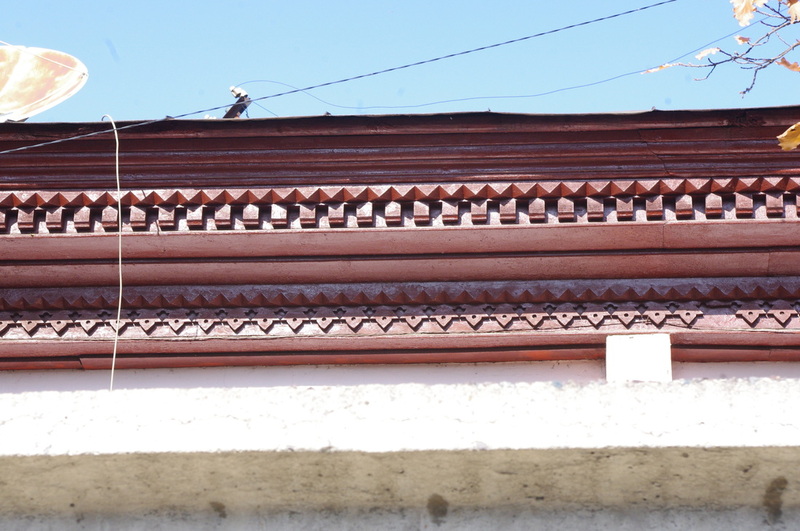 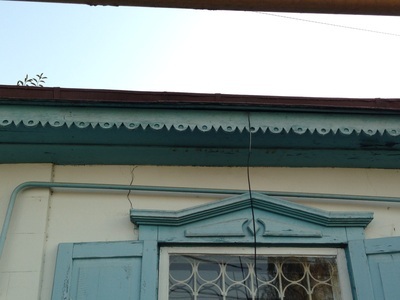 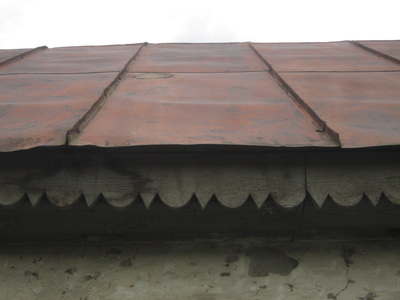 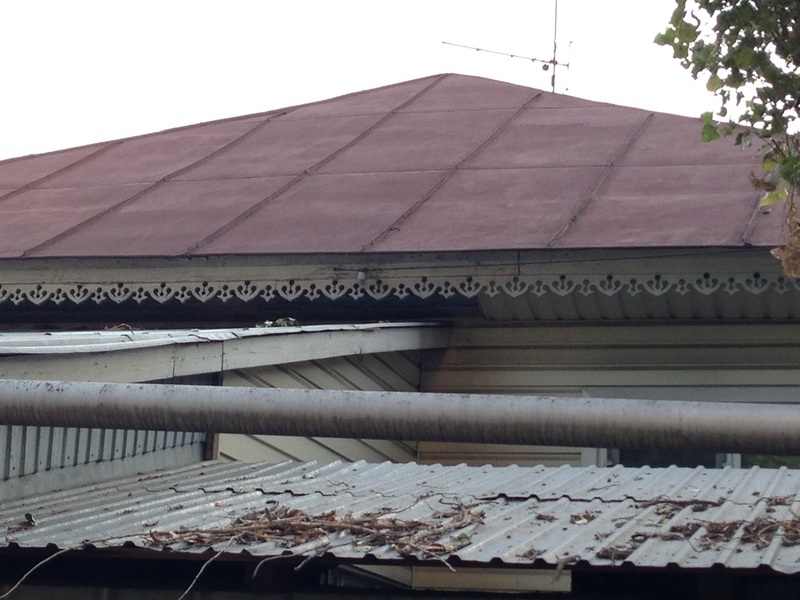 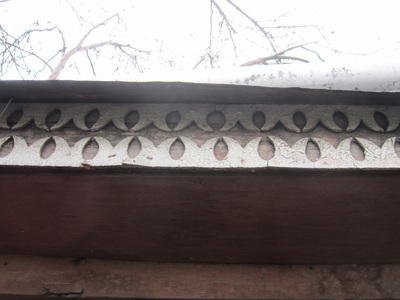 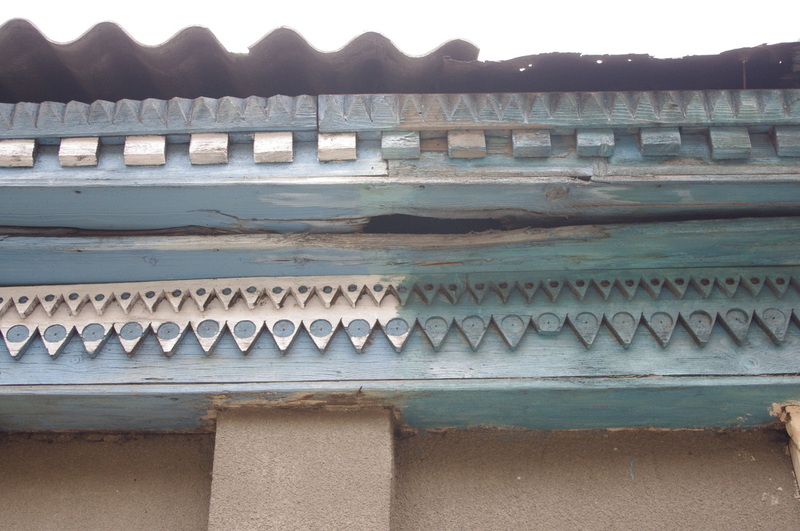 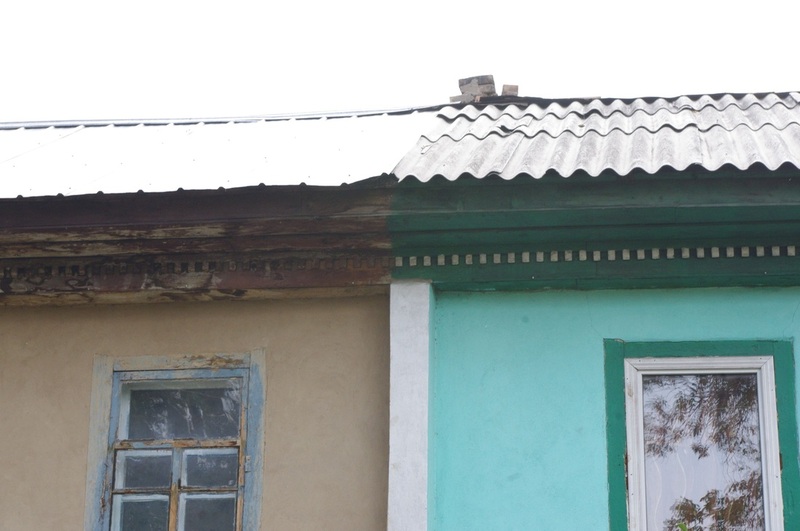 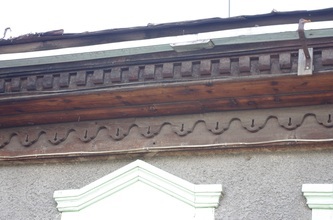 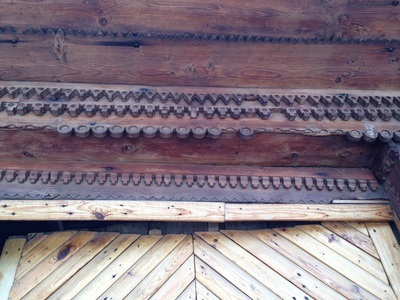 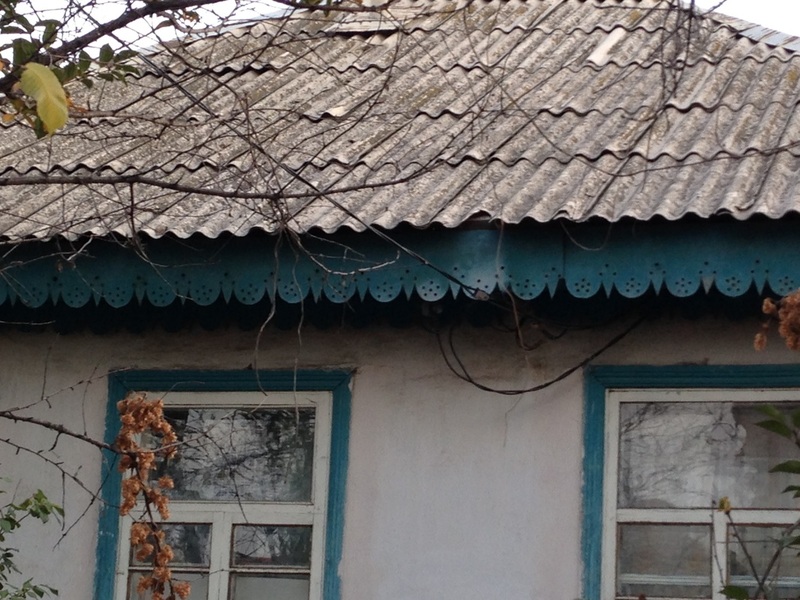 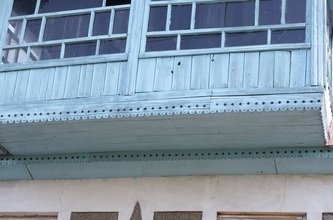 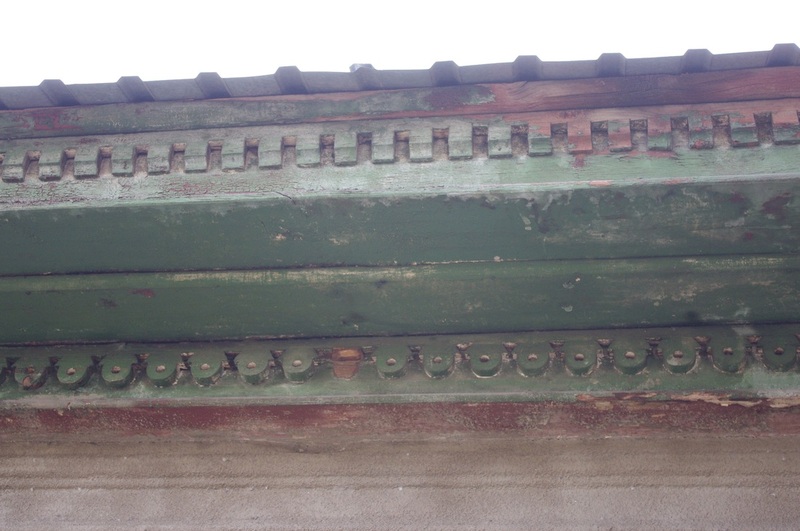 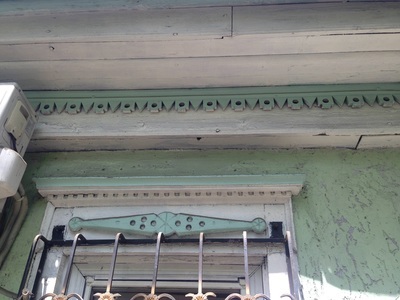 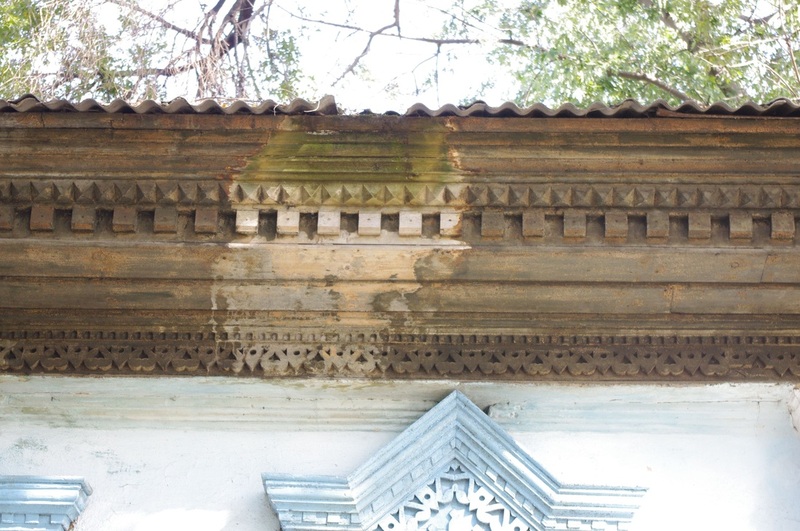 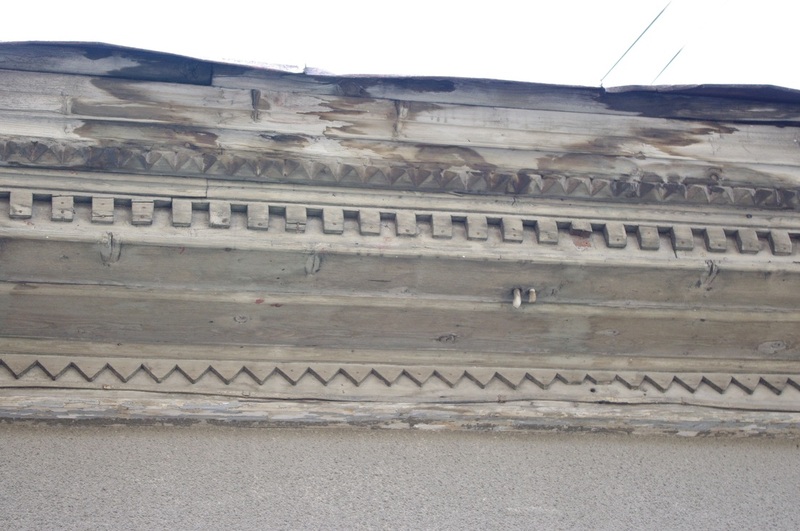 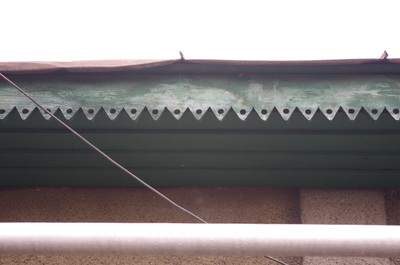 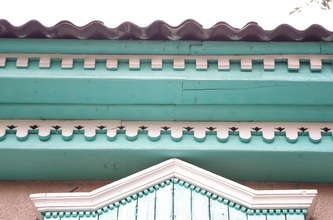 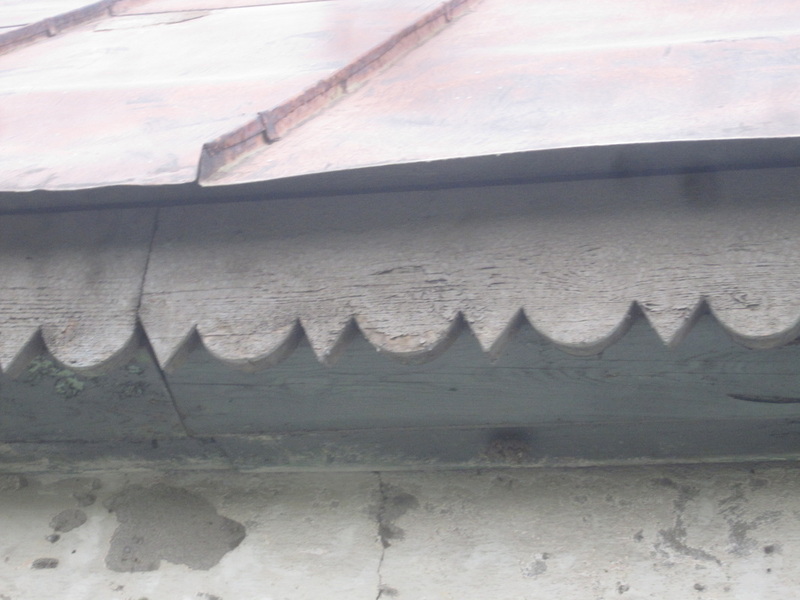 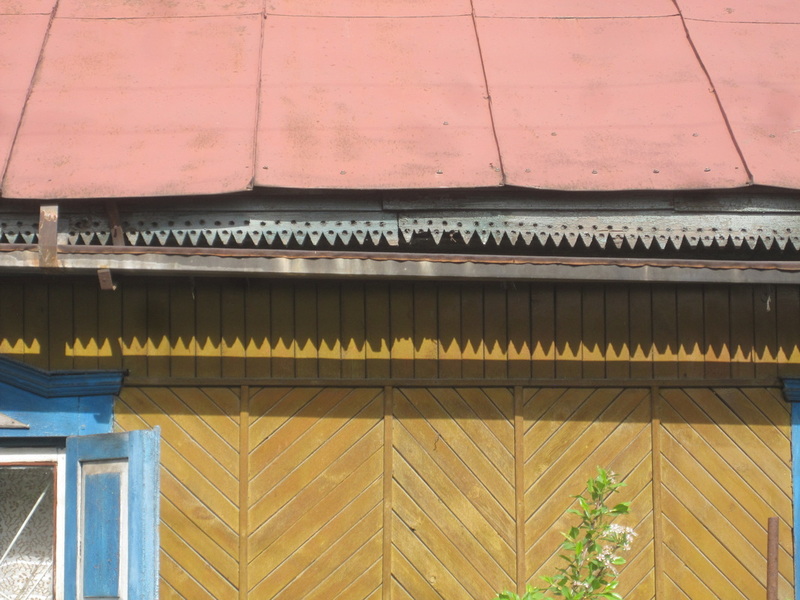 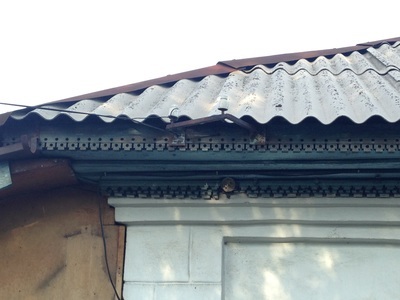 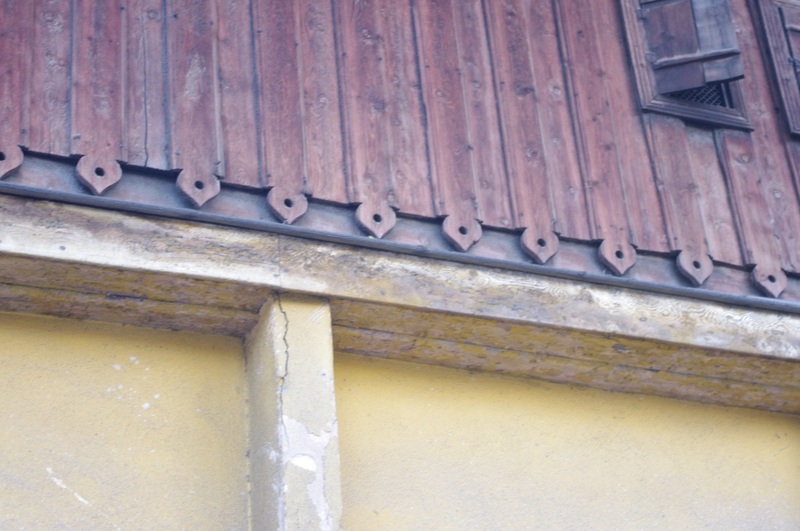 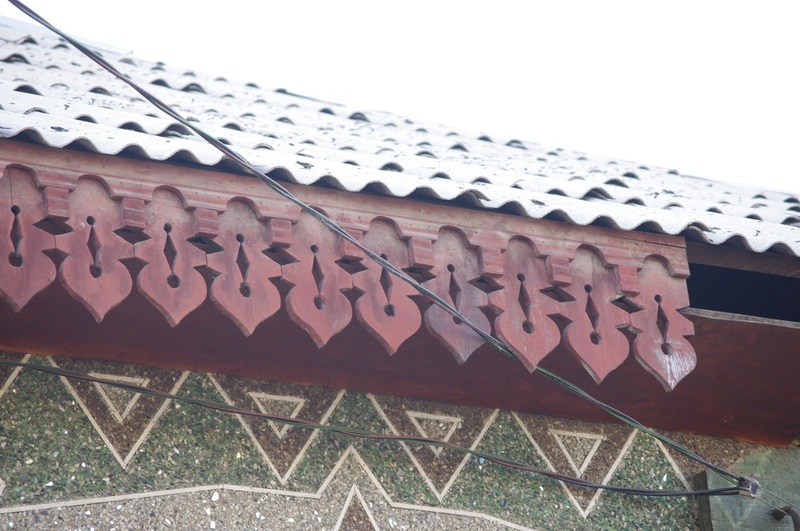 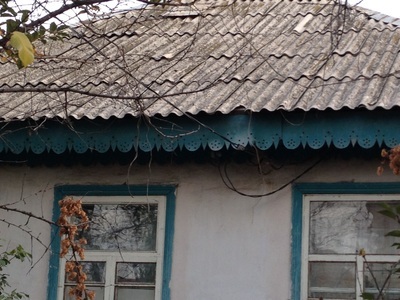 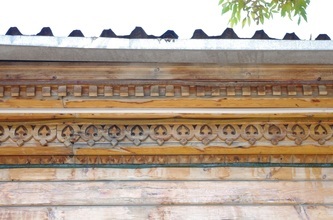 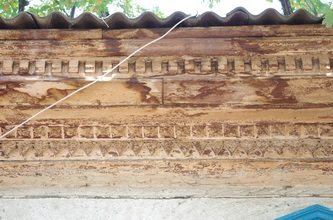 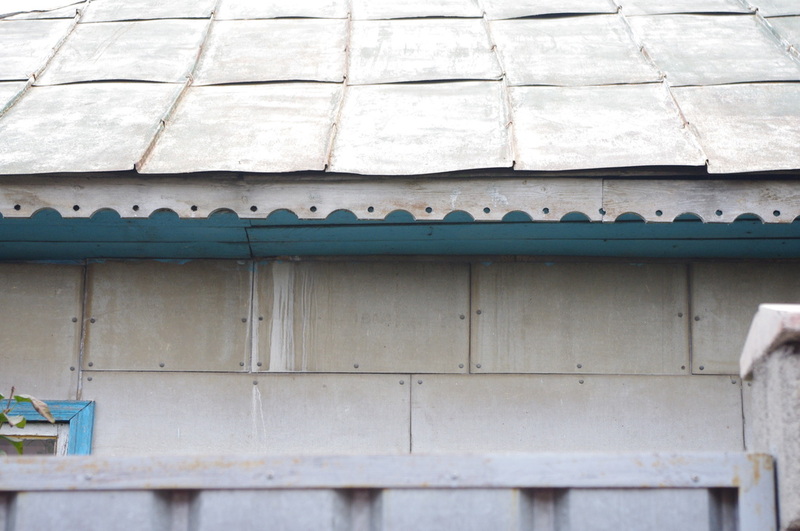 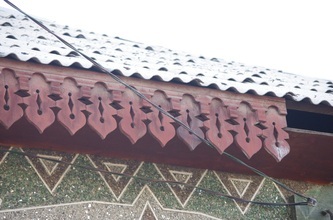 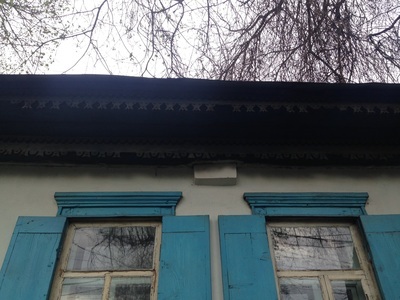 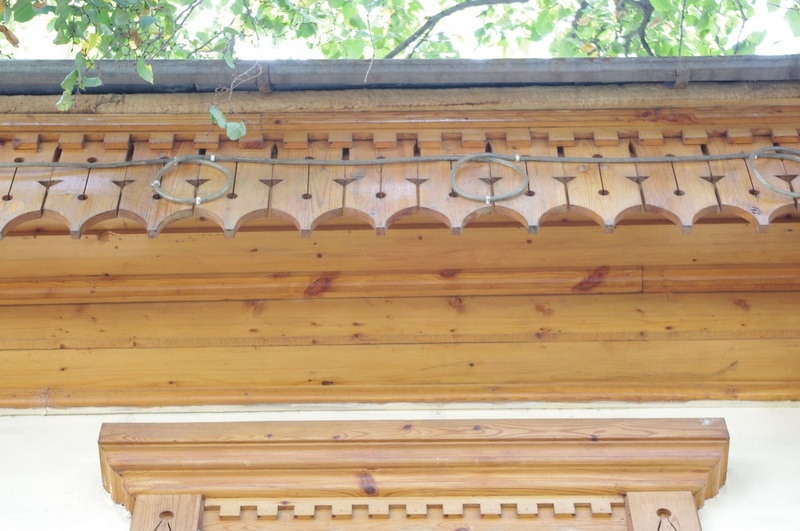 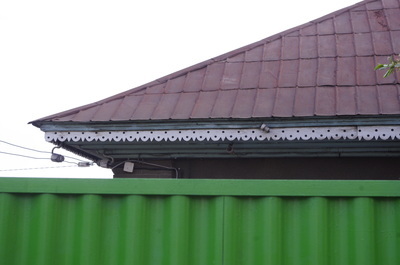 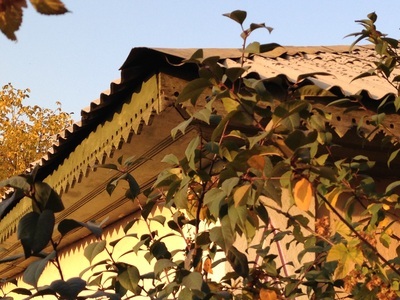 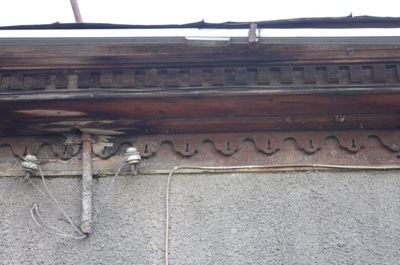 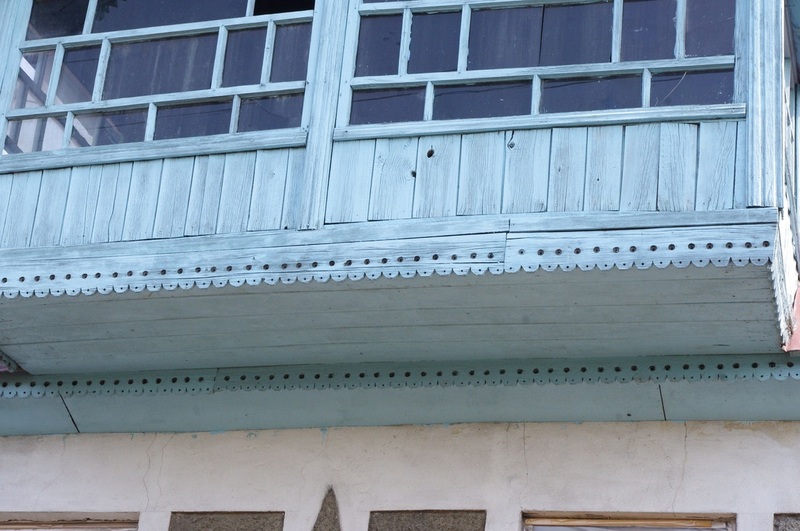 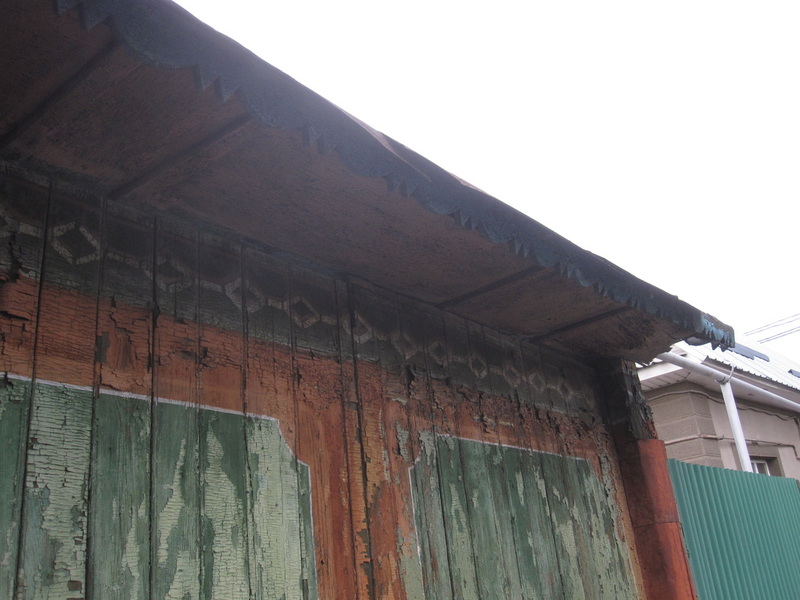 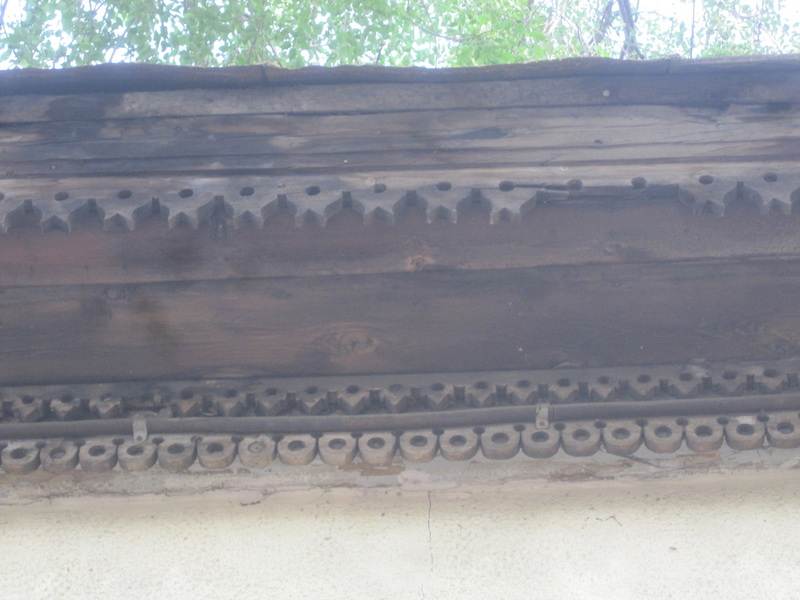 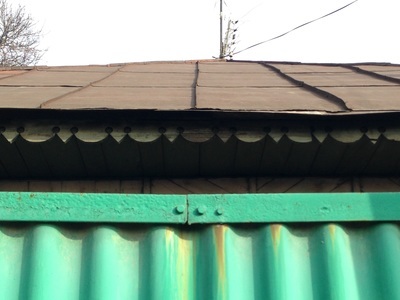 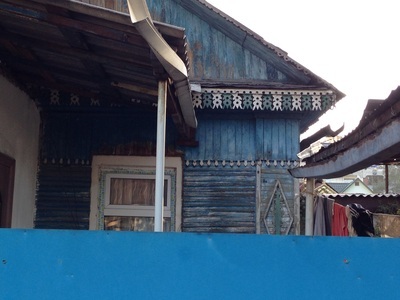 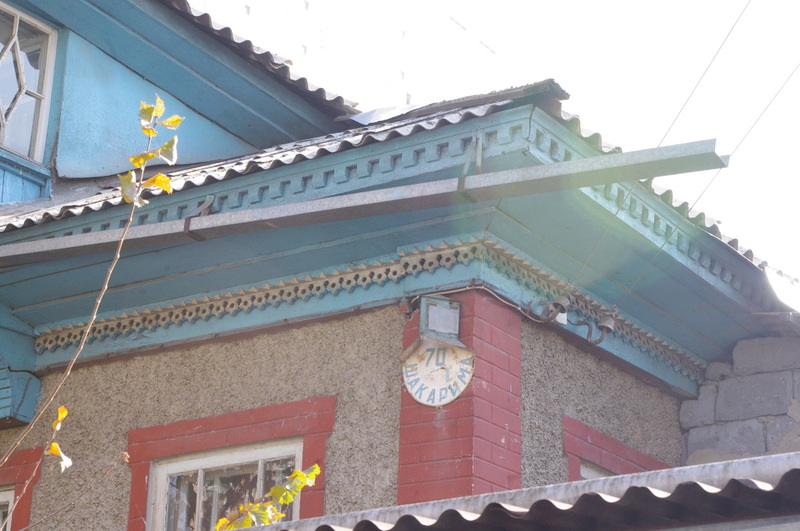 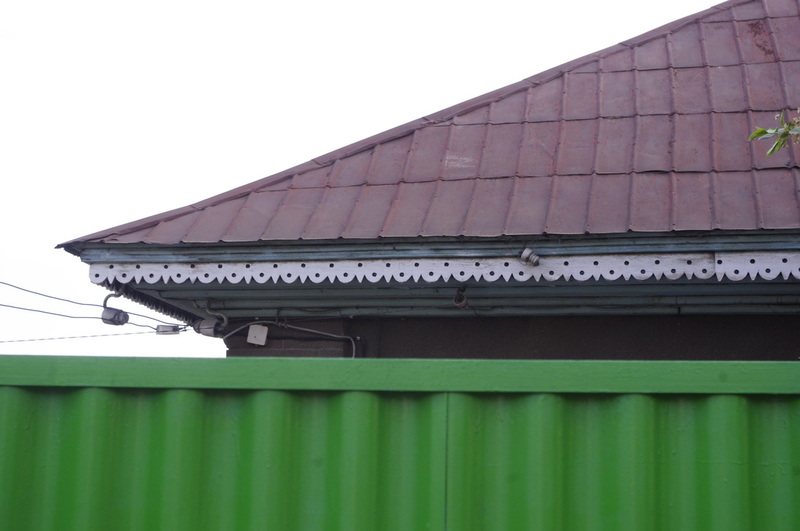 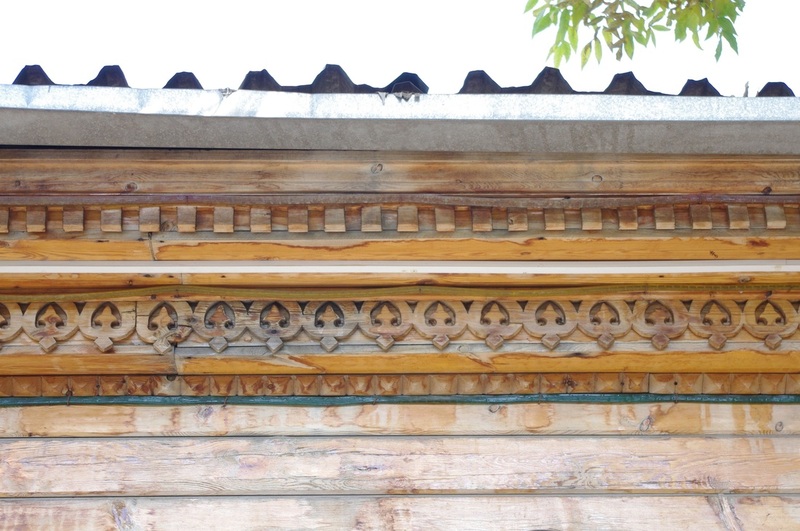 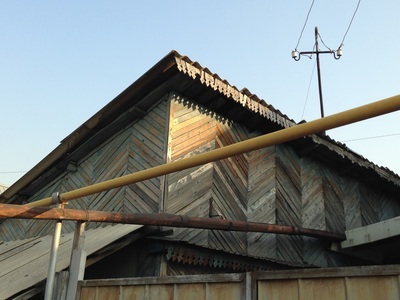 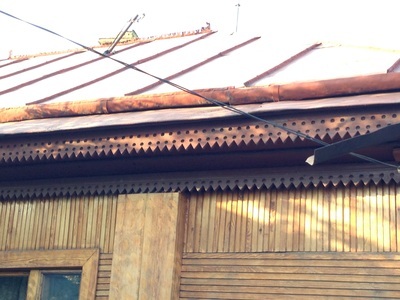 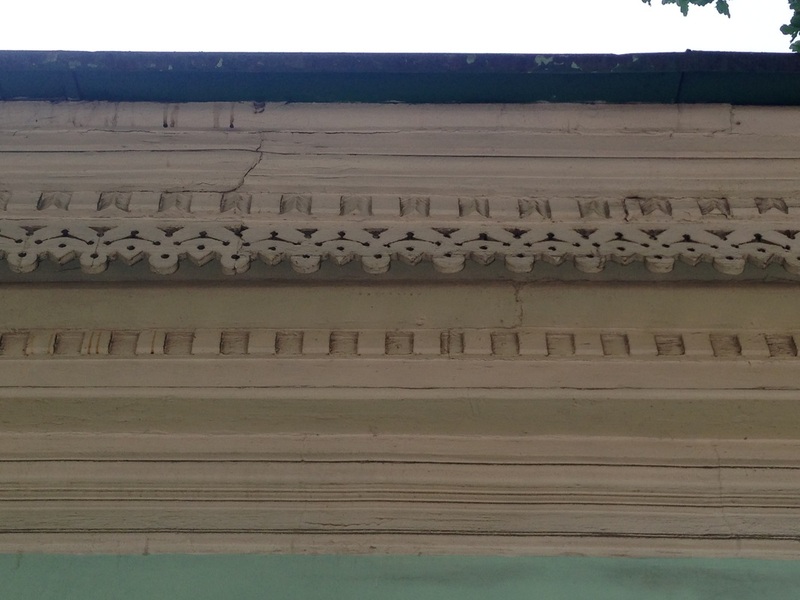 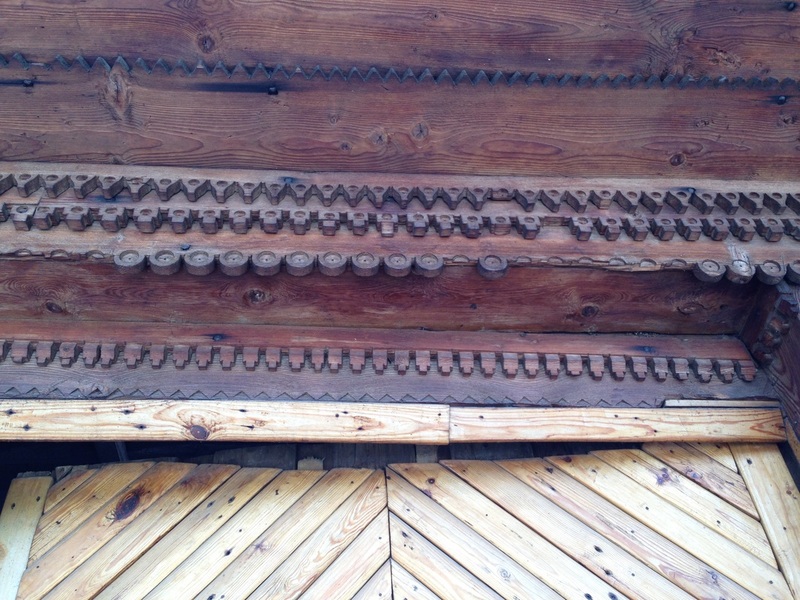 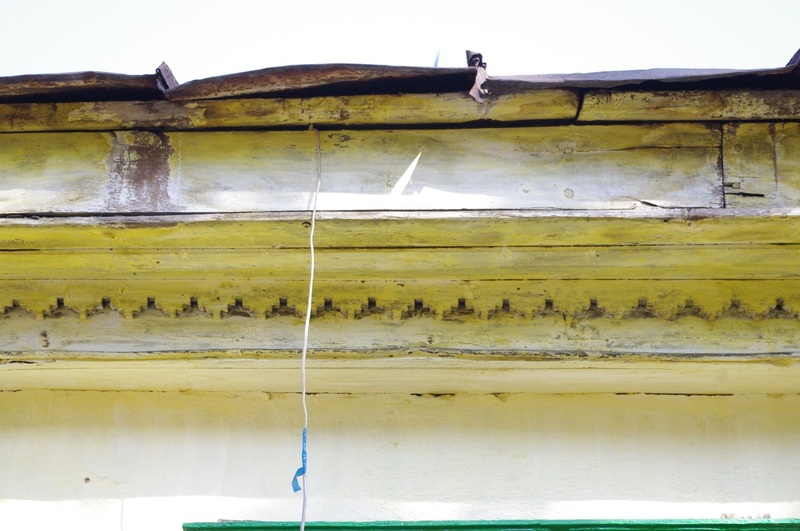 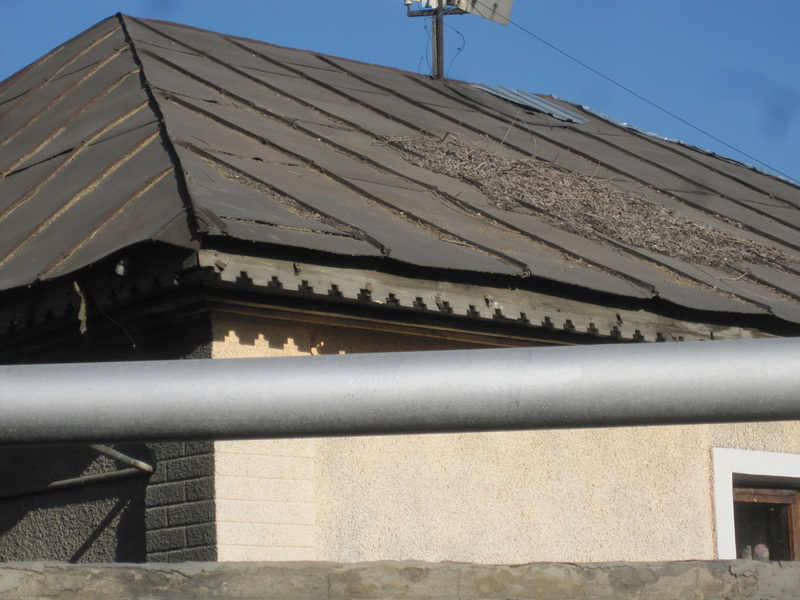 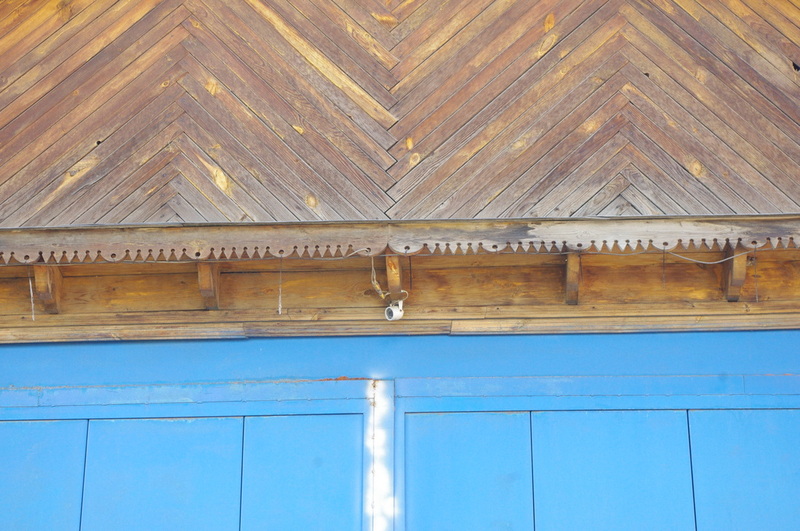 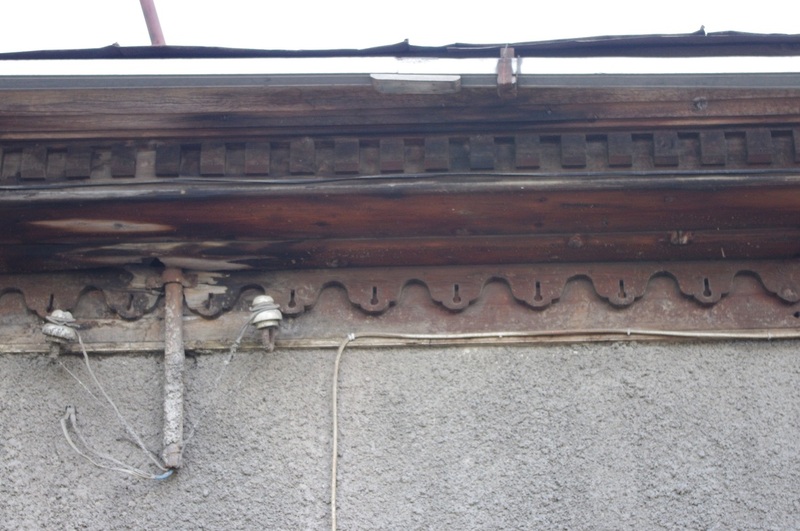 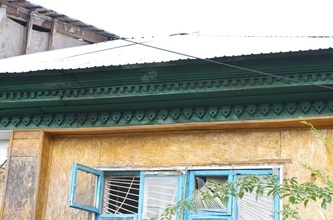 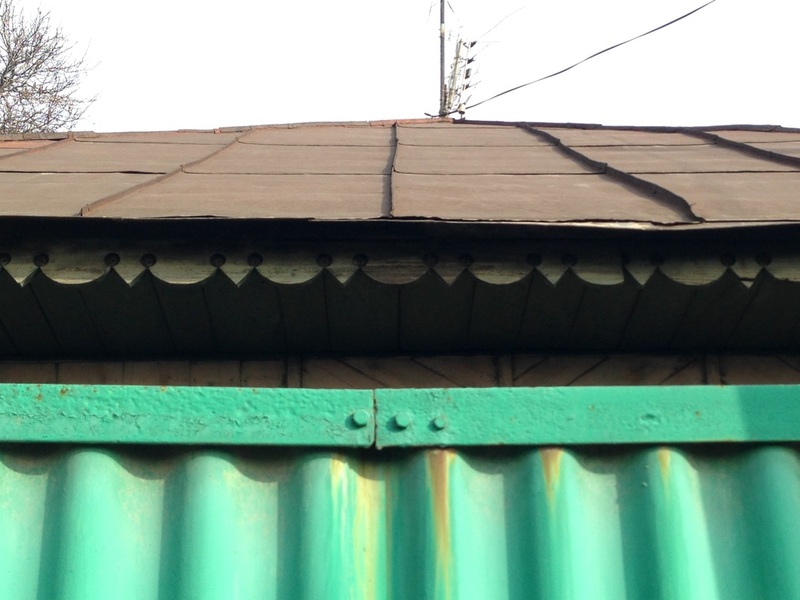 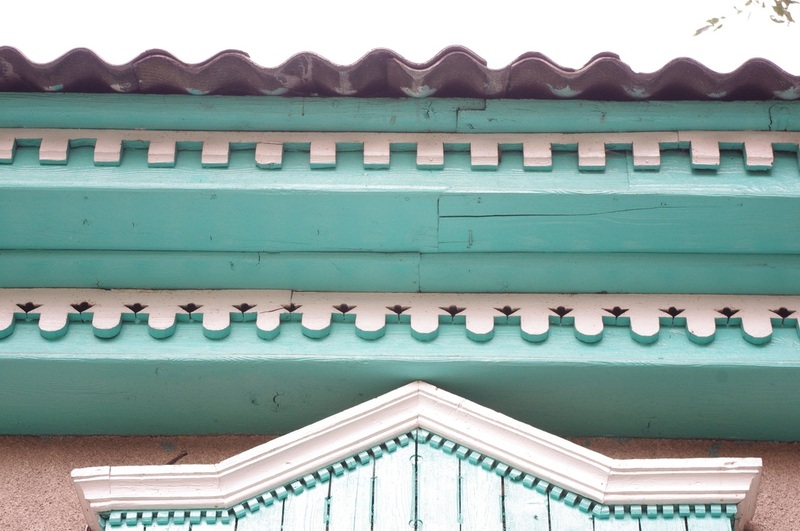 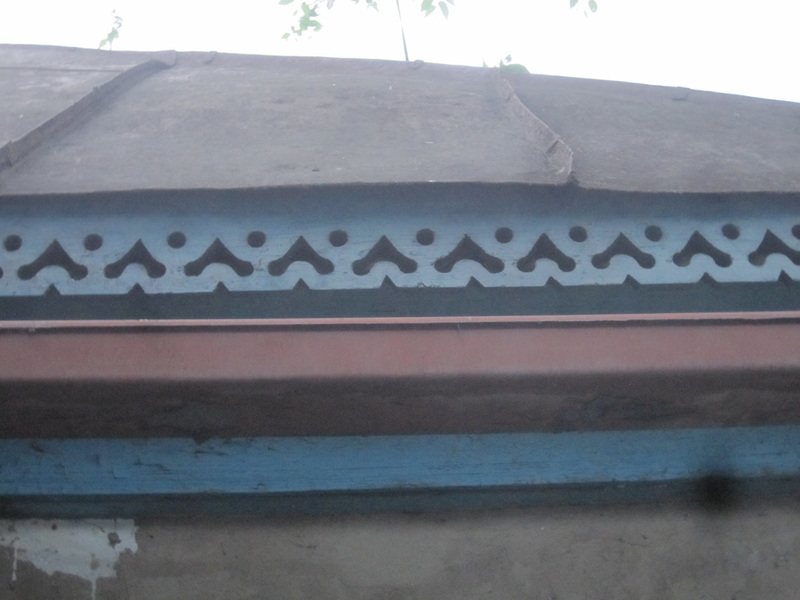 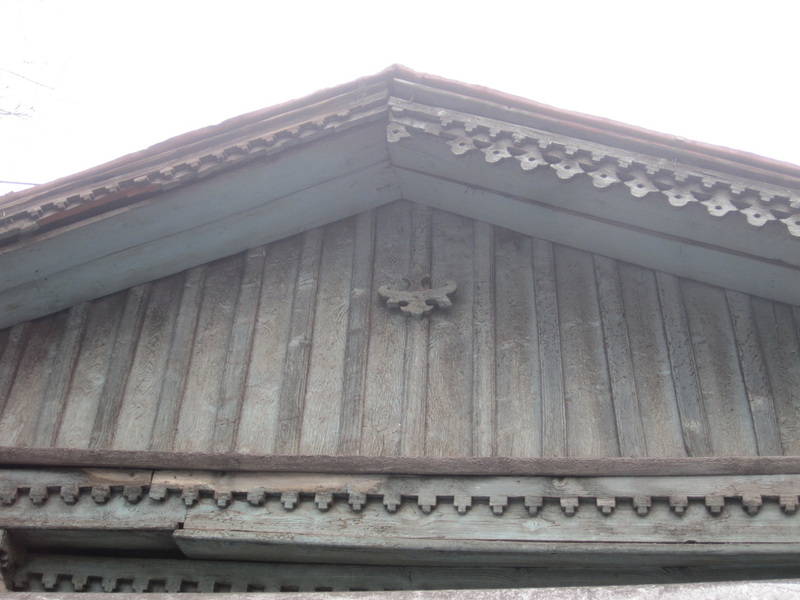 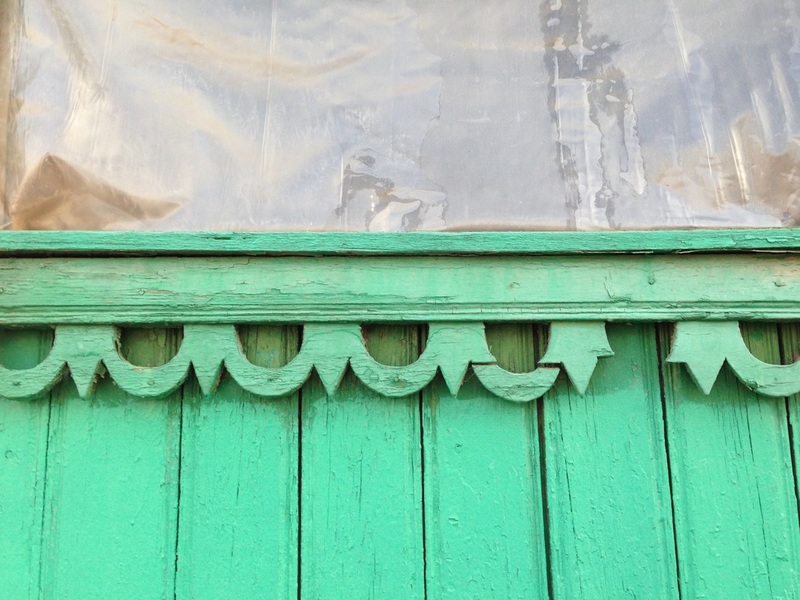 It seems to continue only in the most rudimentary of designs, and so Almaty's old roofs, dripping with ornaments, will soon be relics of an art no longer cherished. 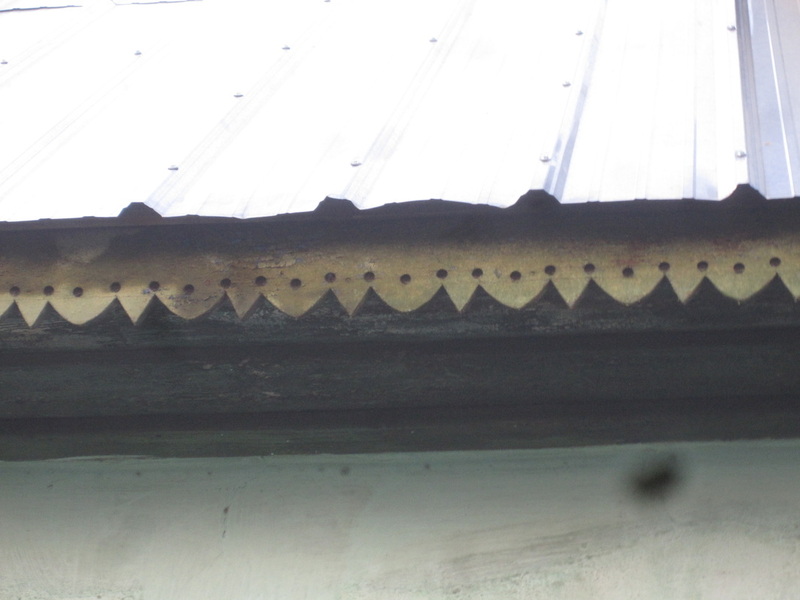 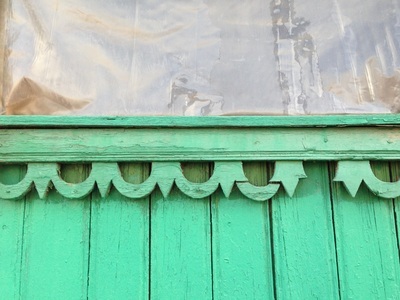 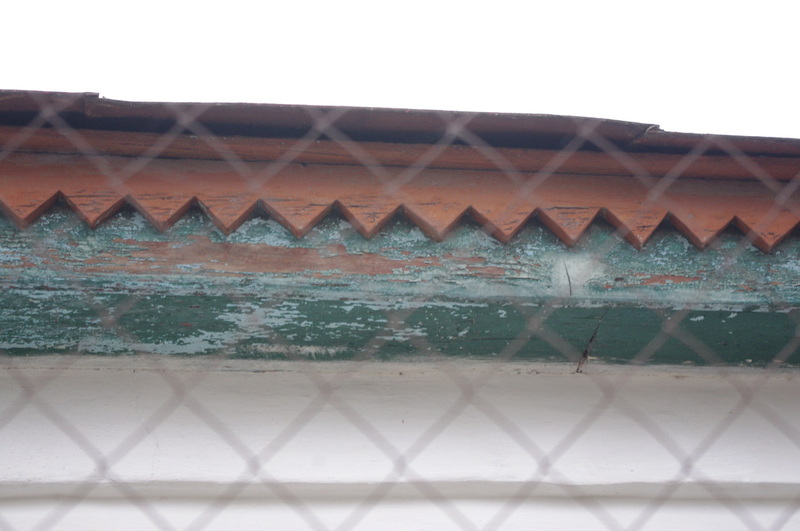 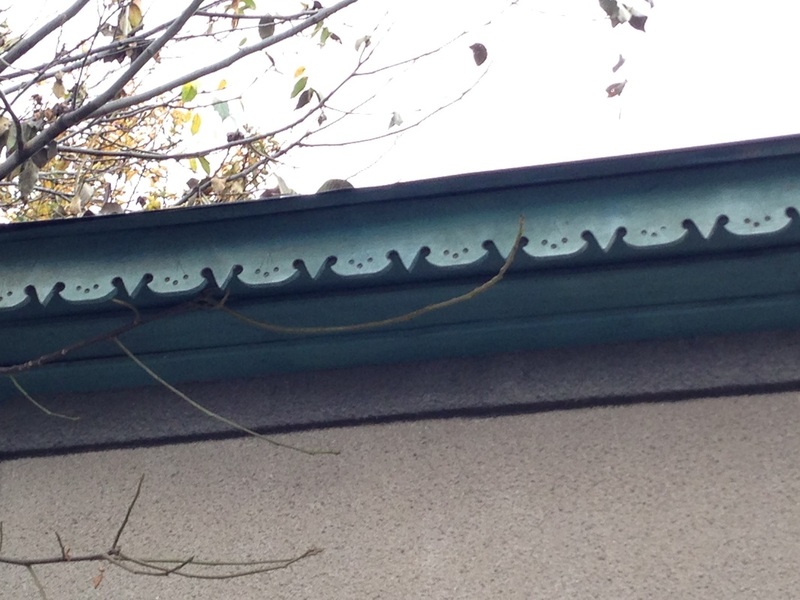 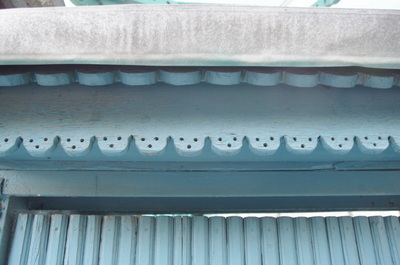 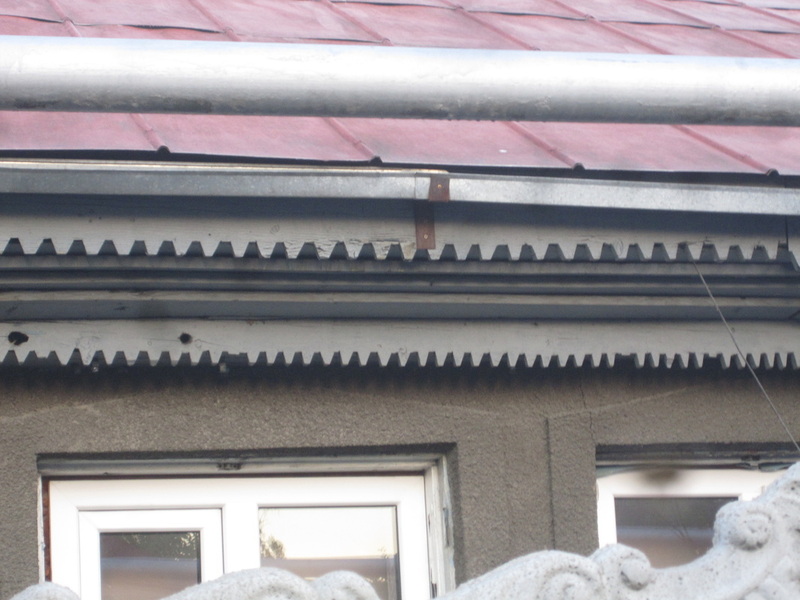 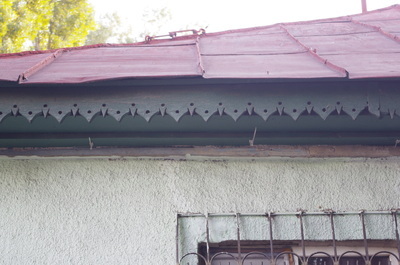 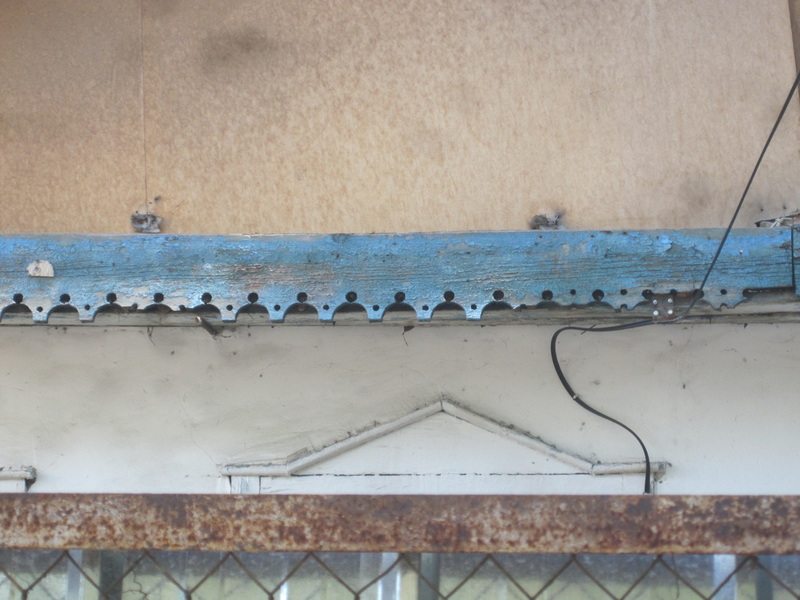 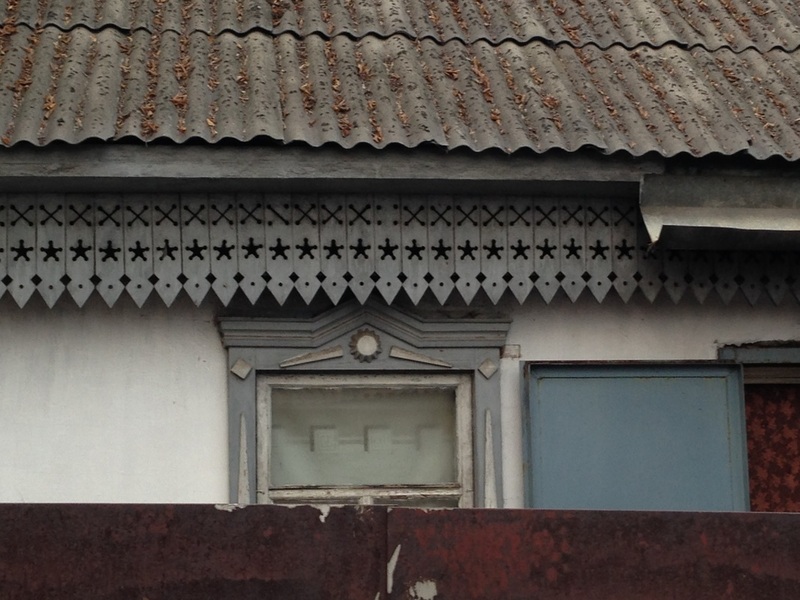 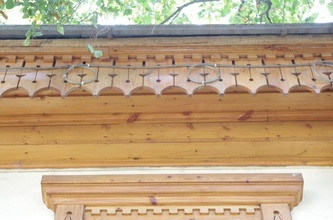 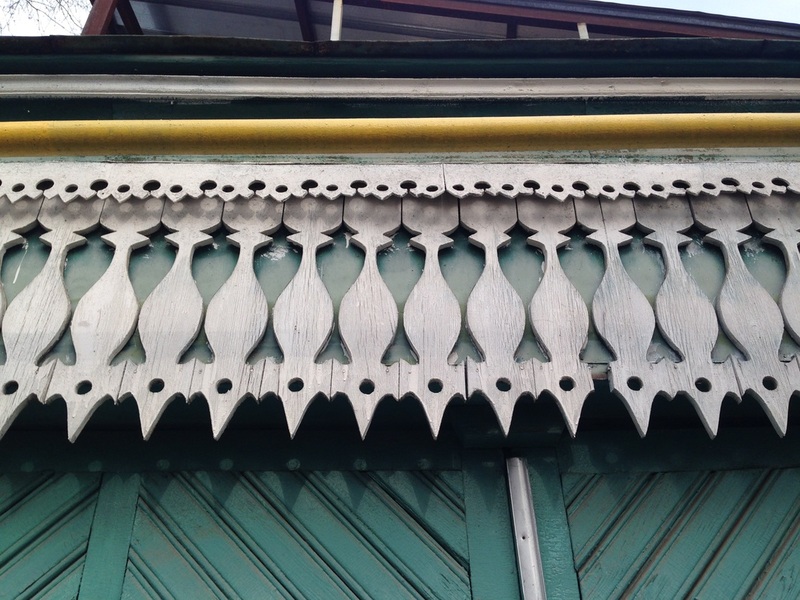 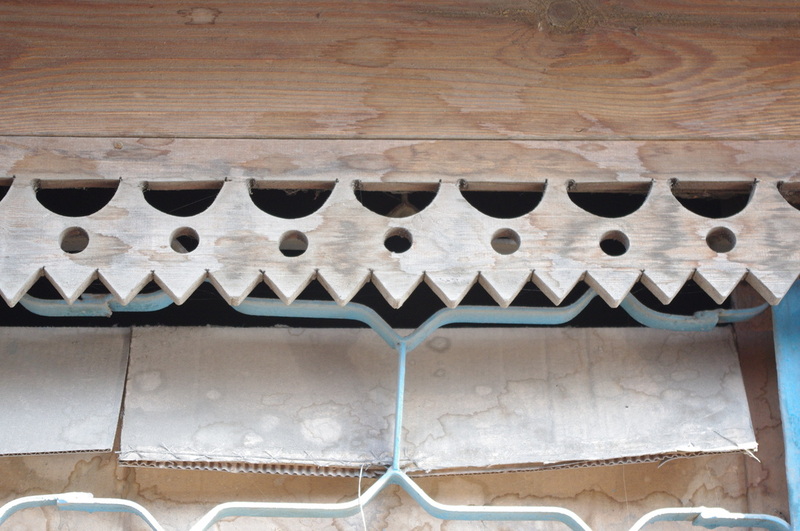 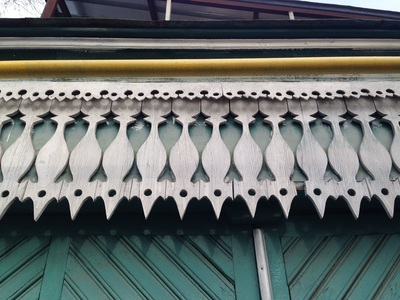 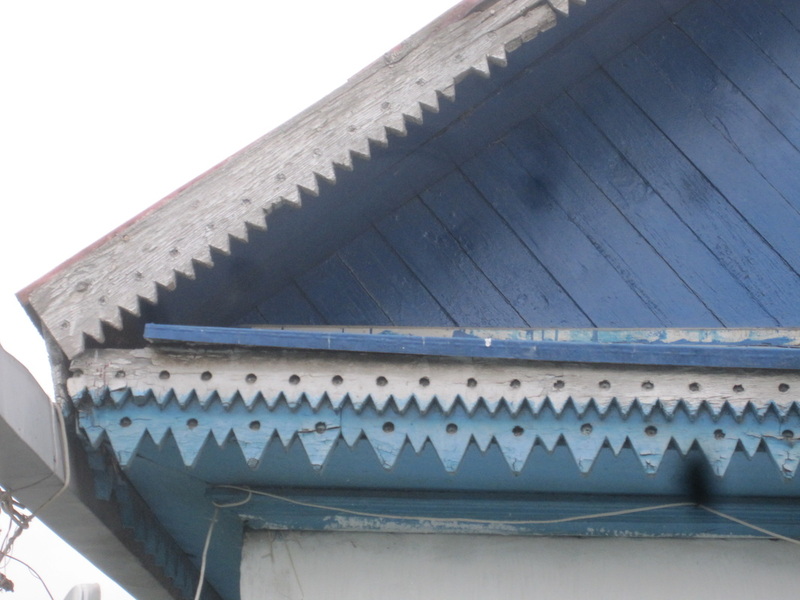 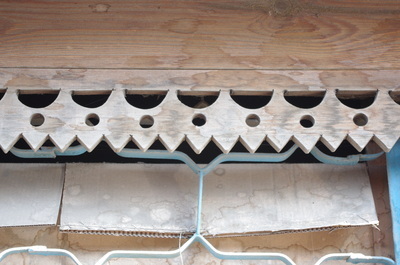 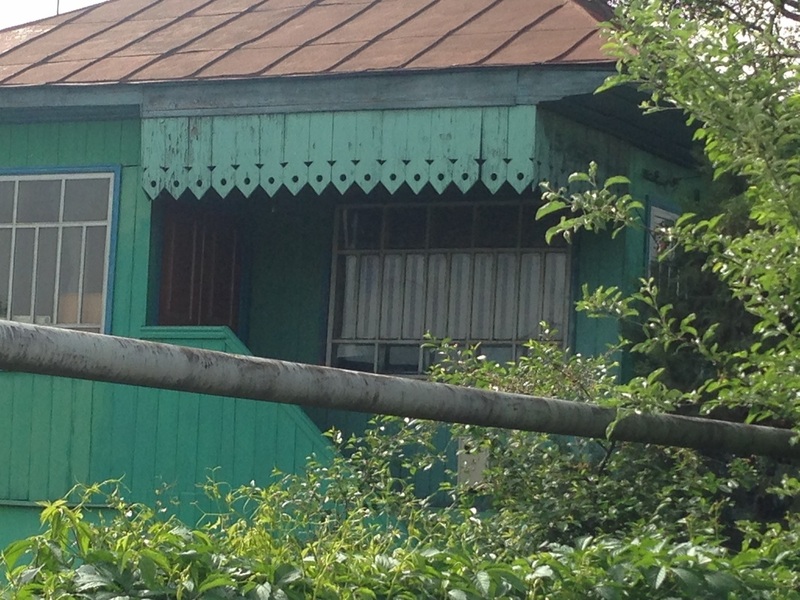 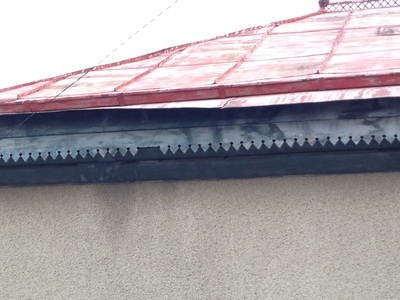 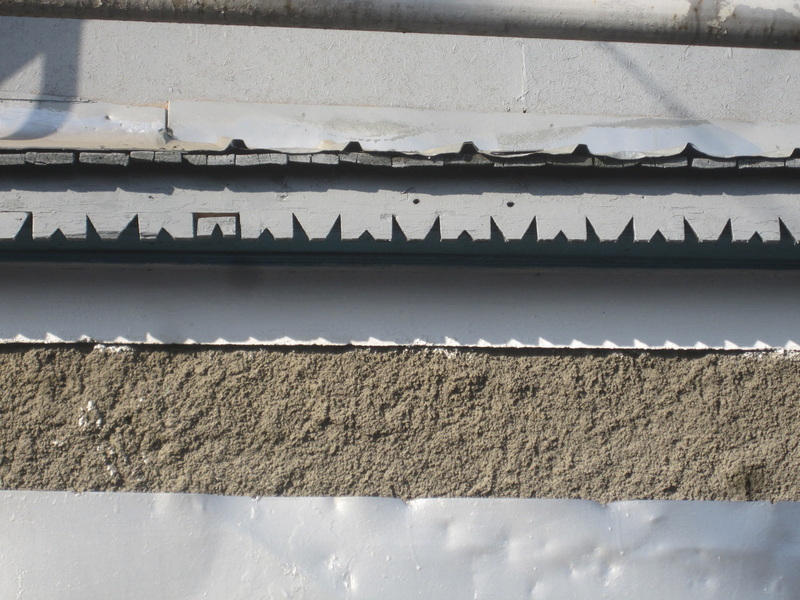 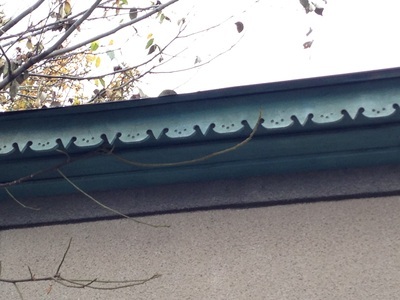 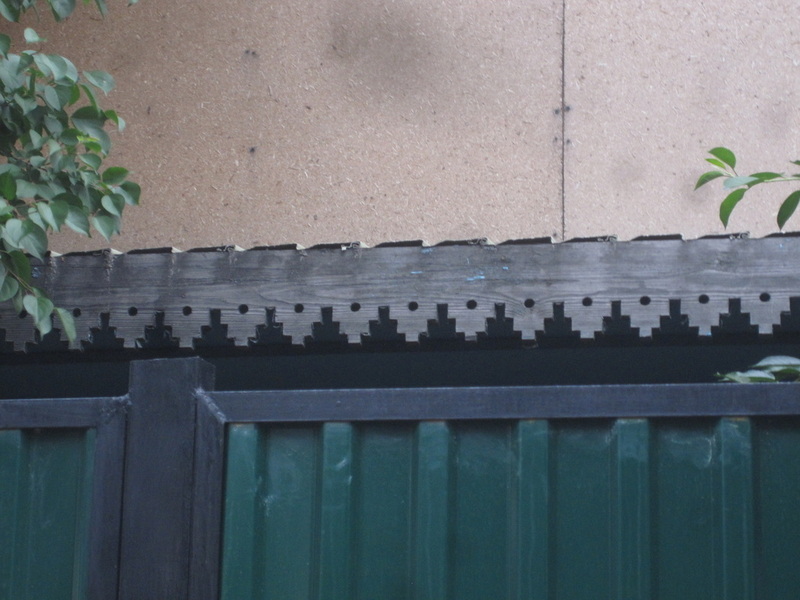 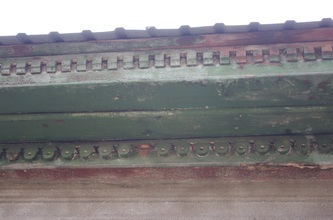 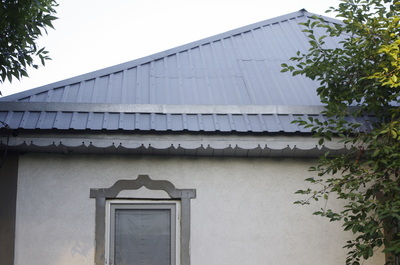 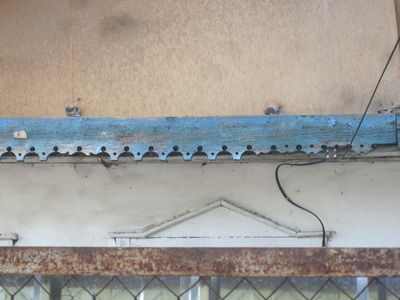 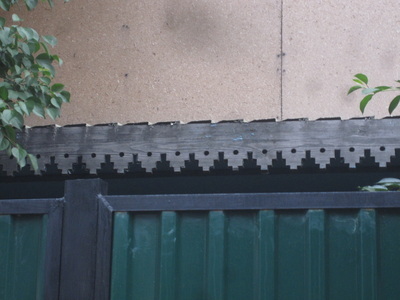 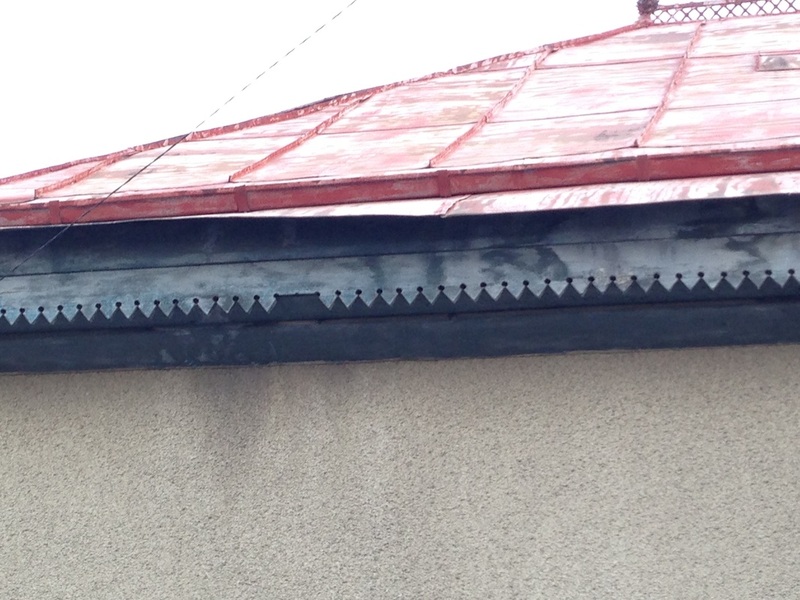 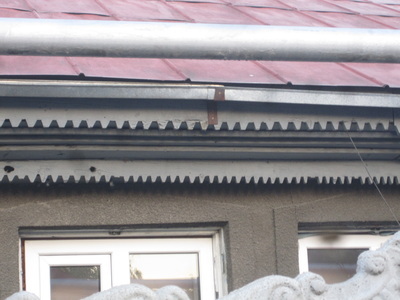 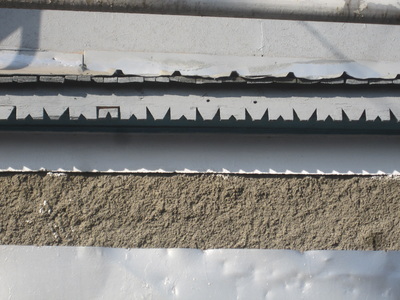 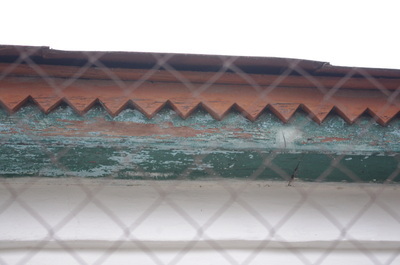 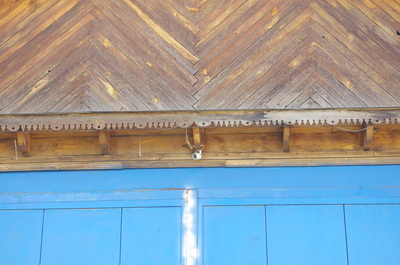 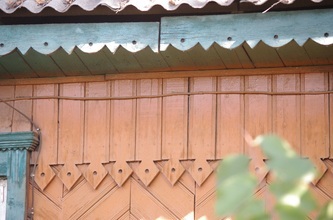 I'd like to make a chart of Almaty eaves like this some day. 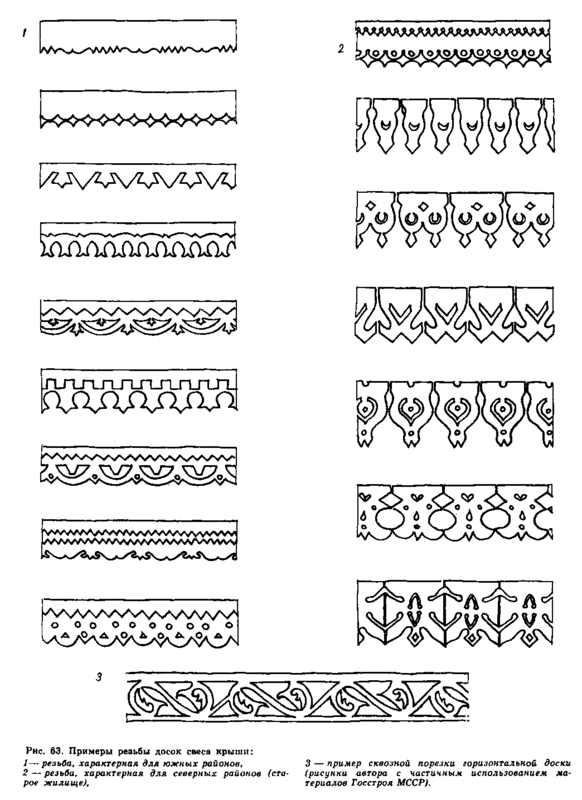 This great resource is from the book "The Architecture of Moldovan Homes" by Z.V. 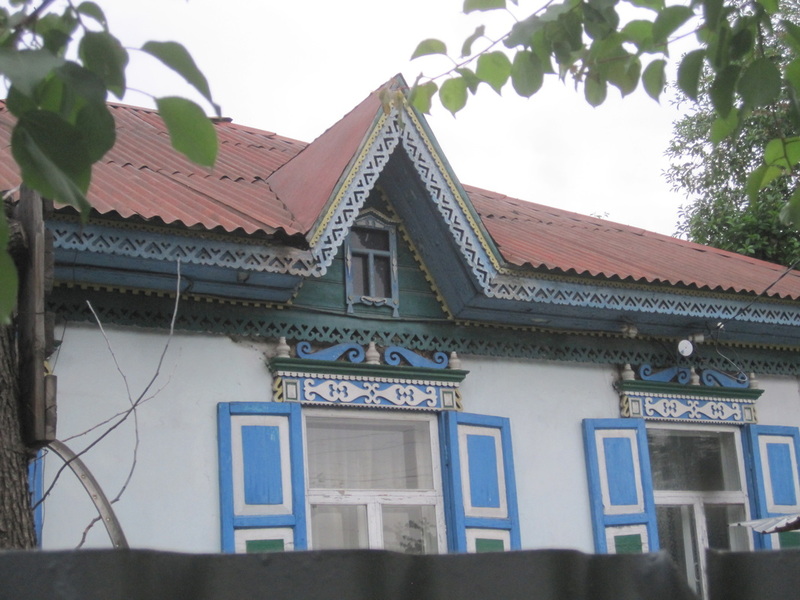 Moiseenko.